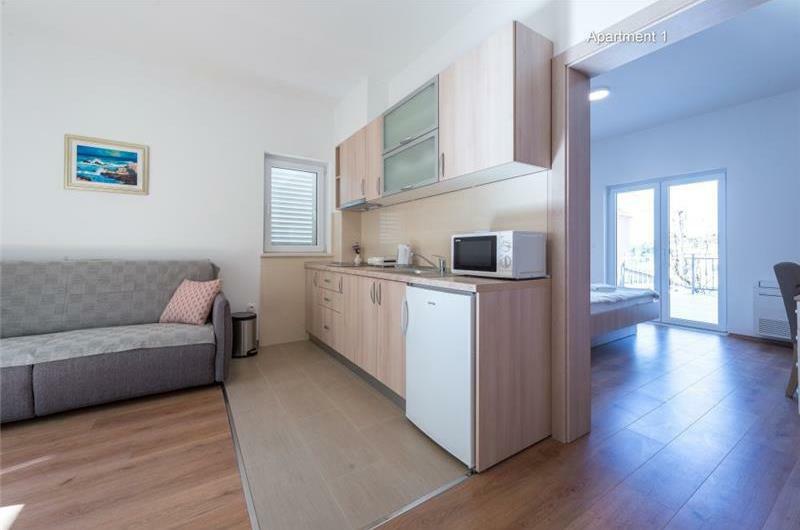 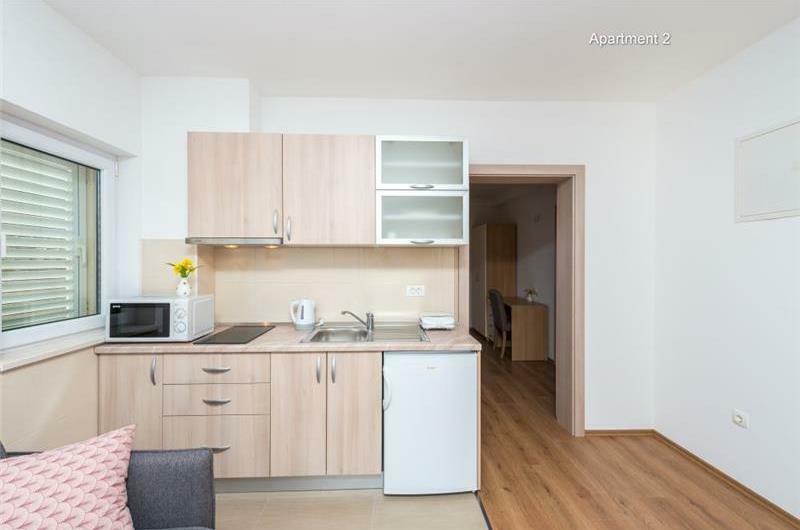 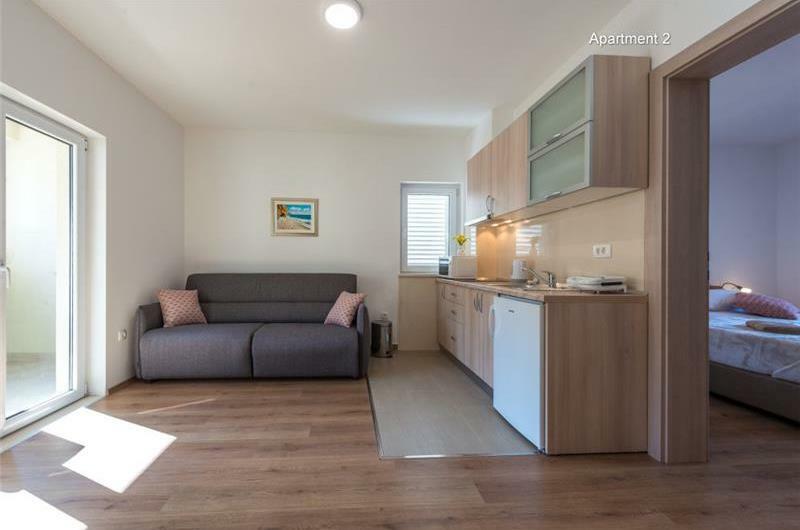 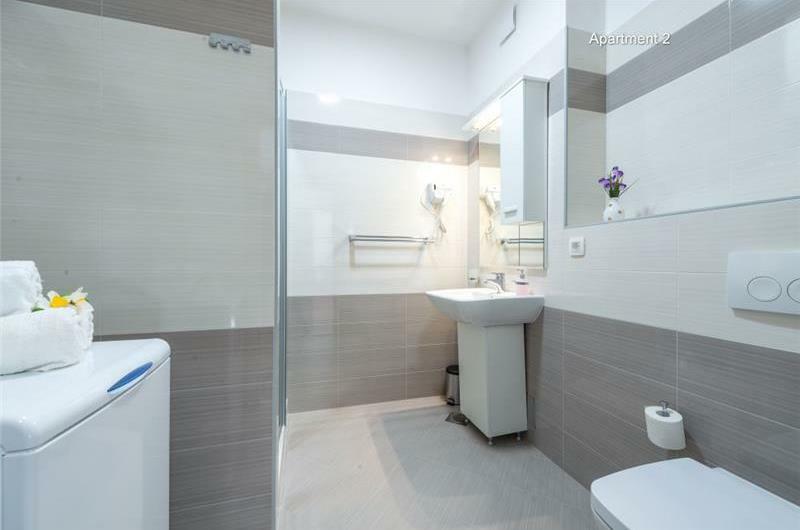 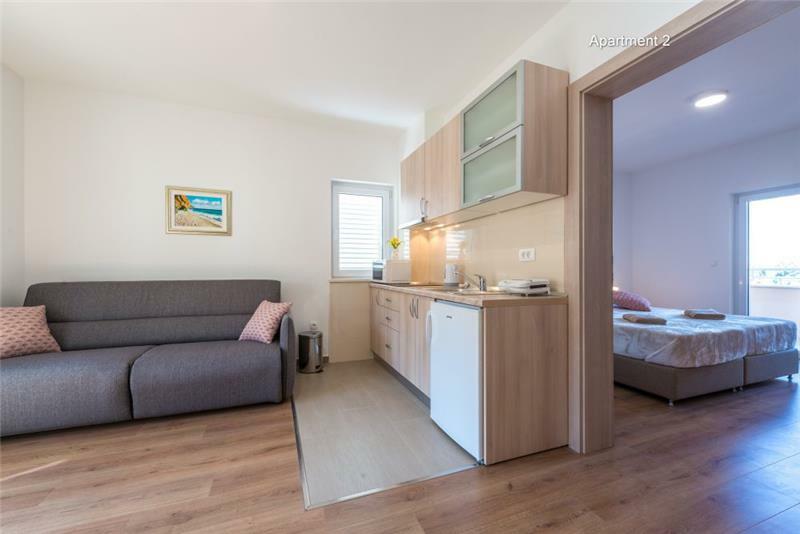 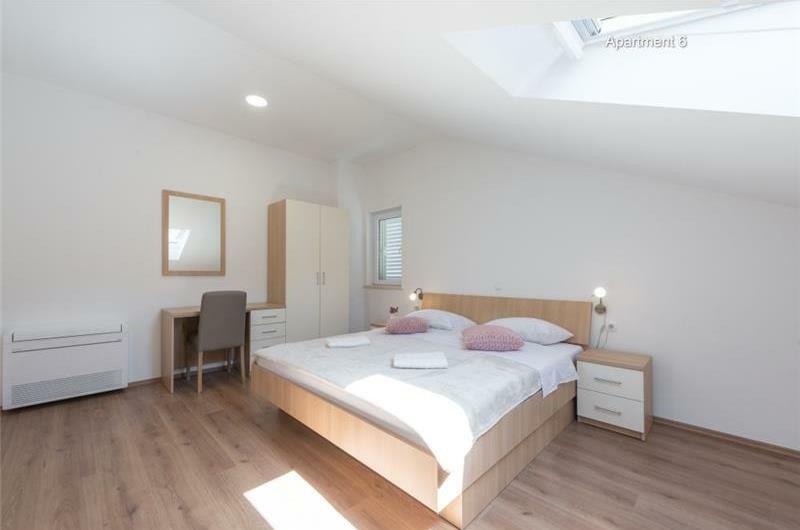 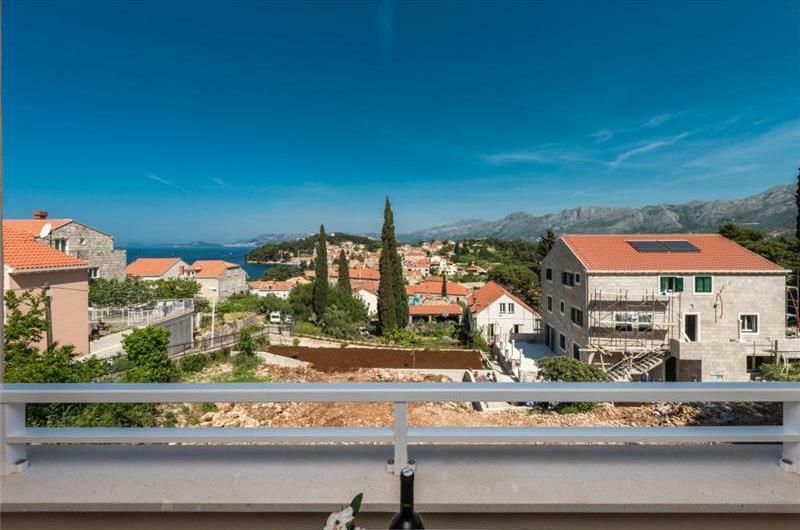 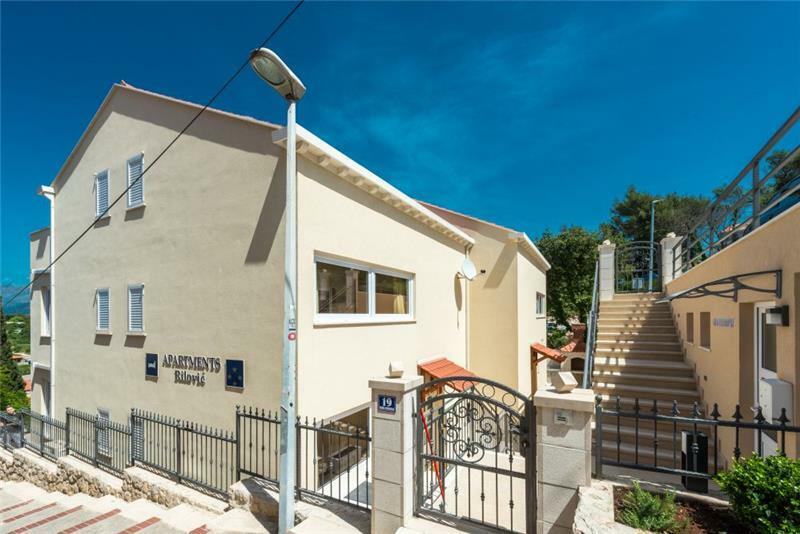 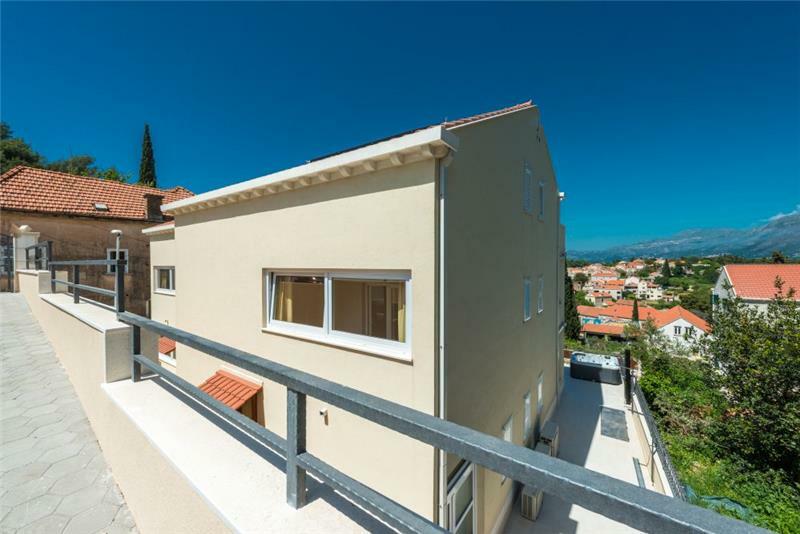 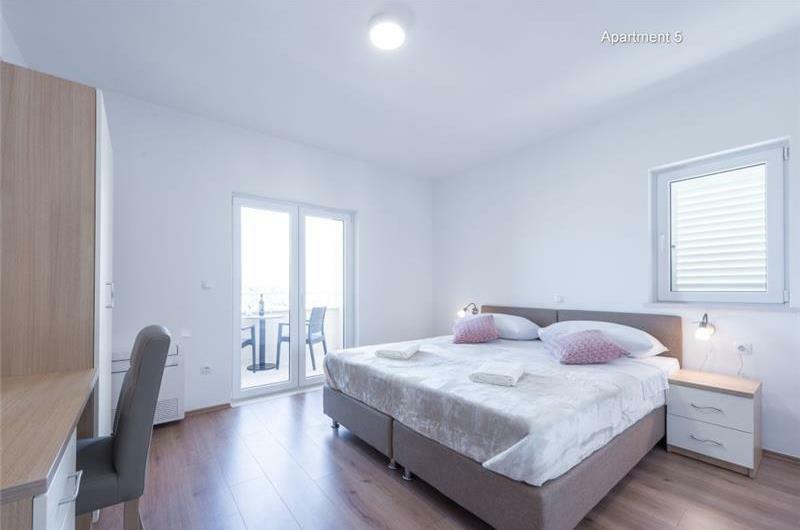 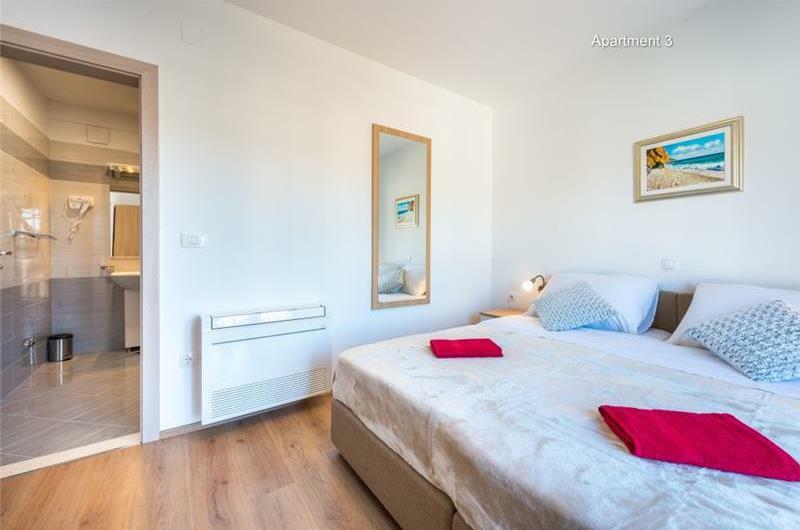 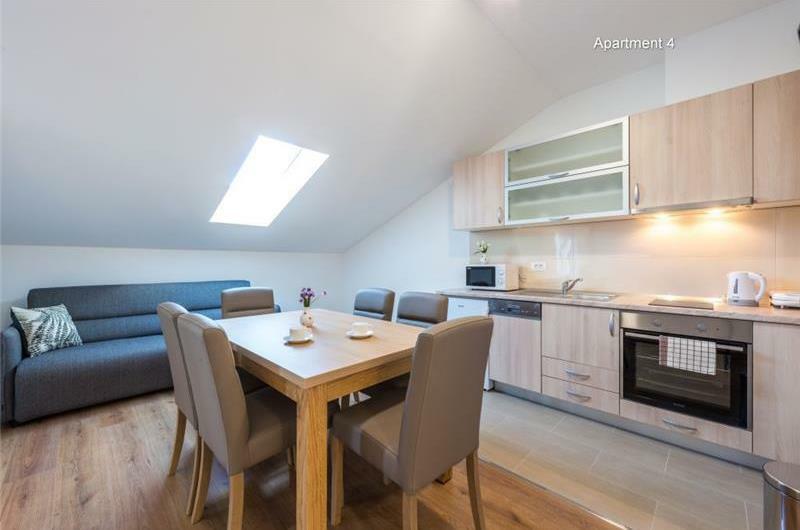 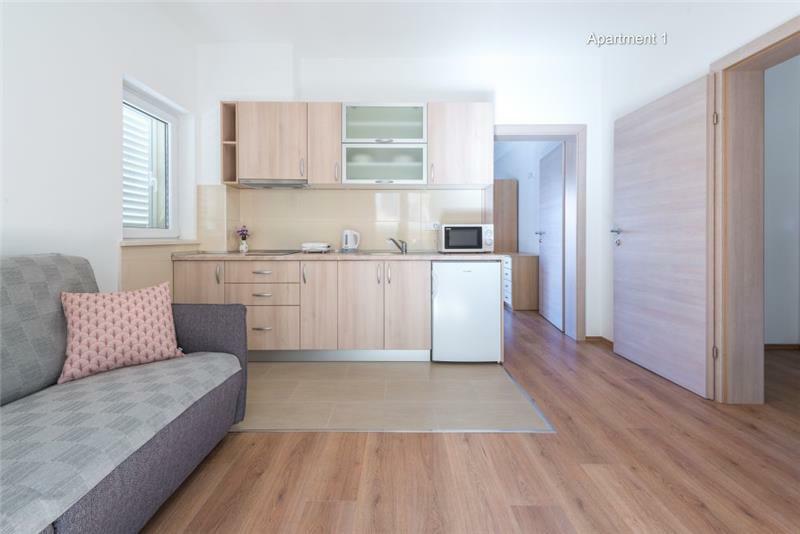 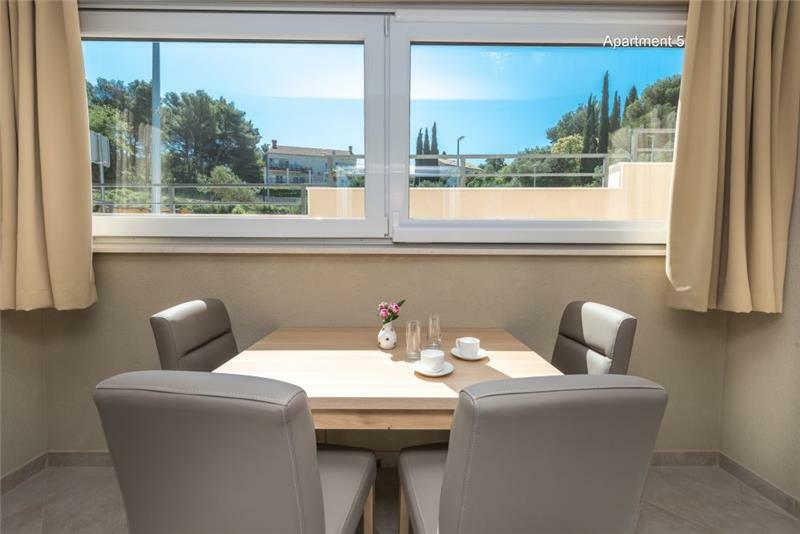 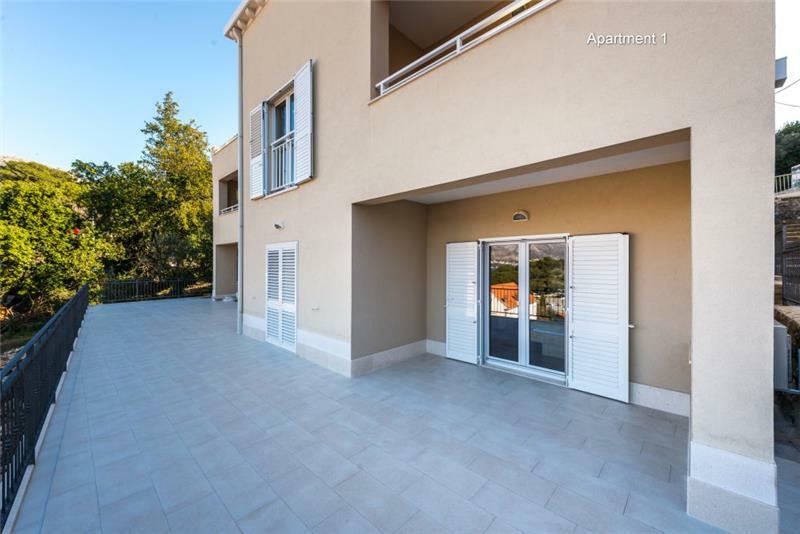 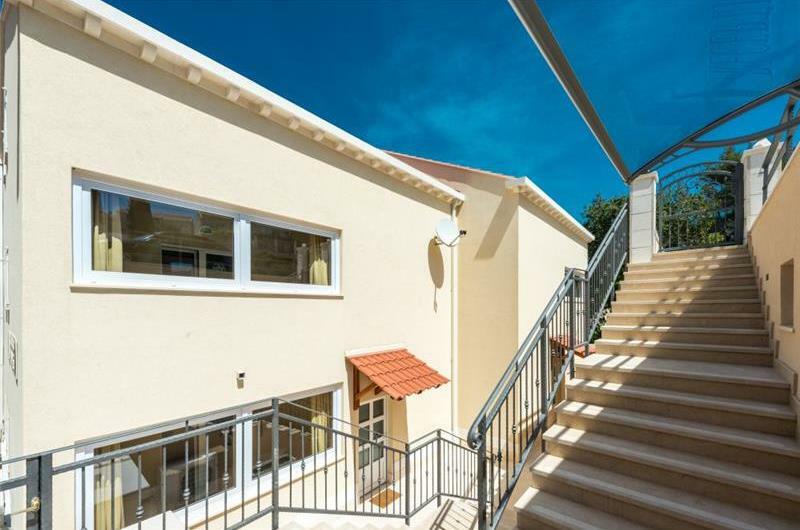 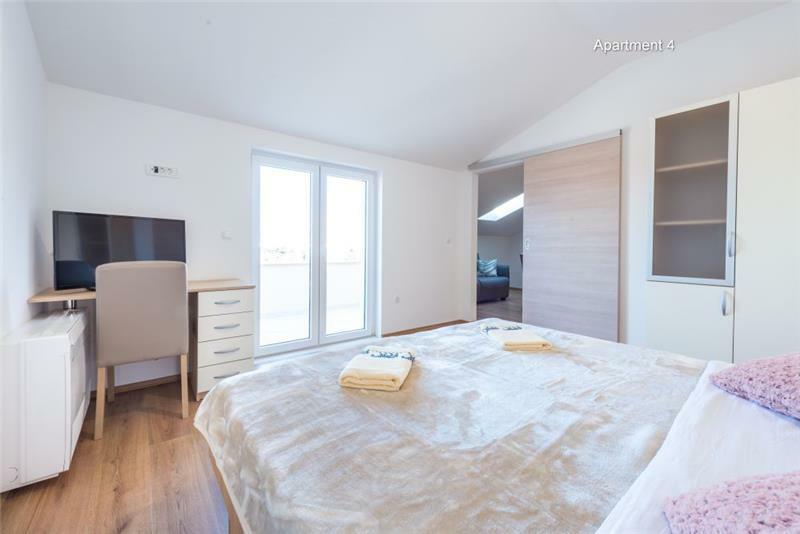 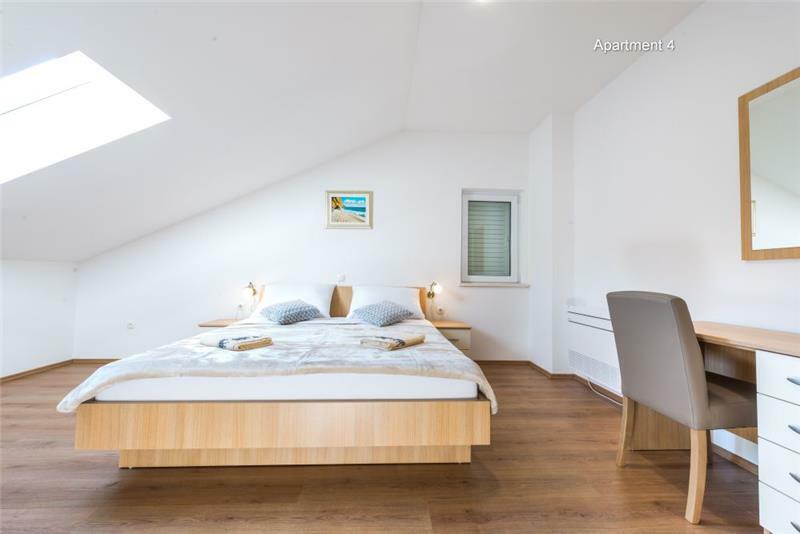 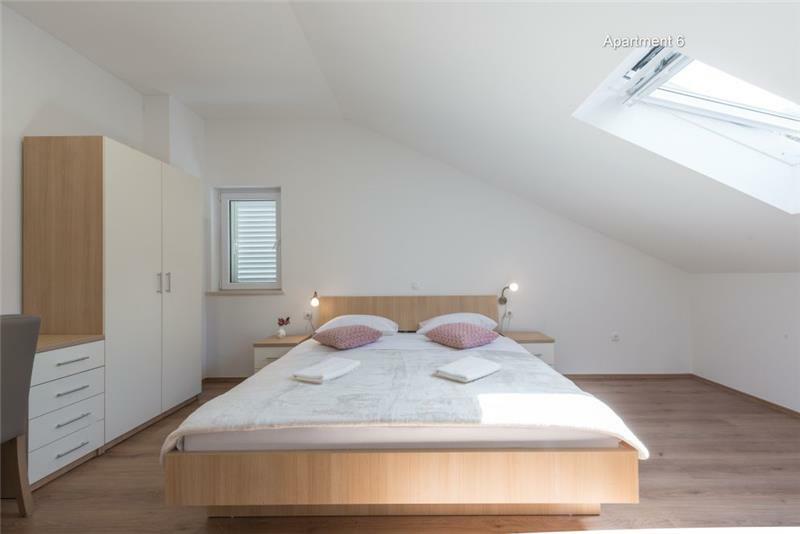 This property is made up of 6 apartments which can be rented separately. 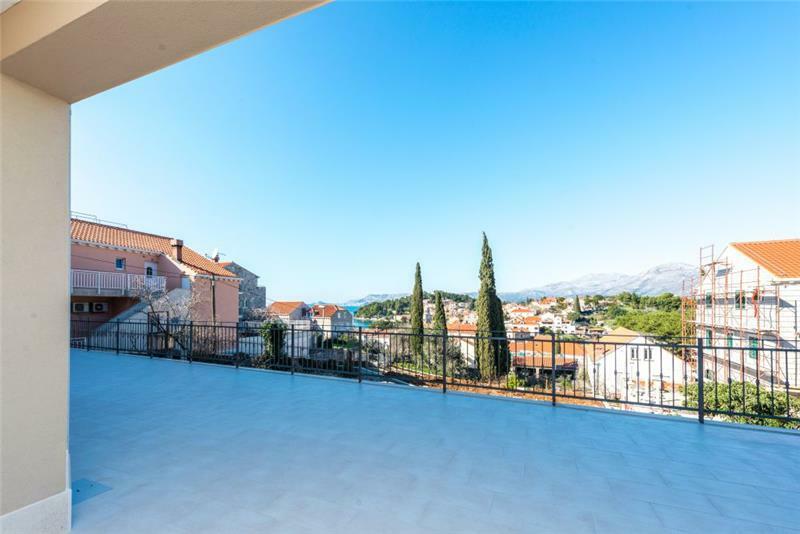 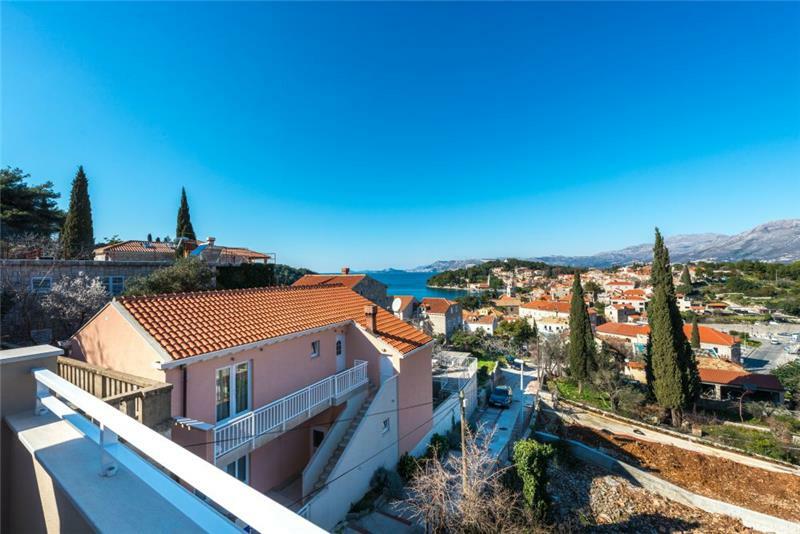 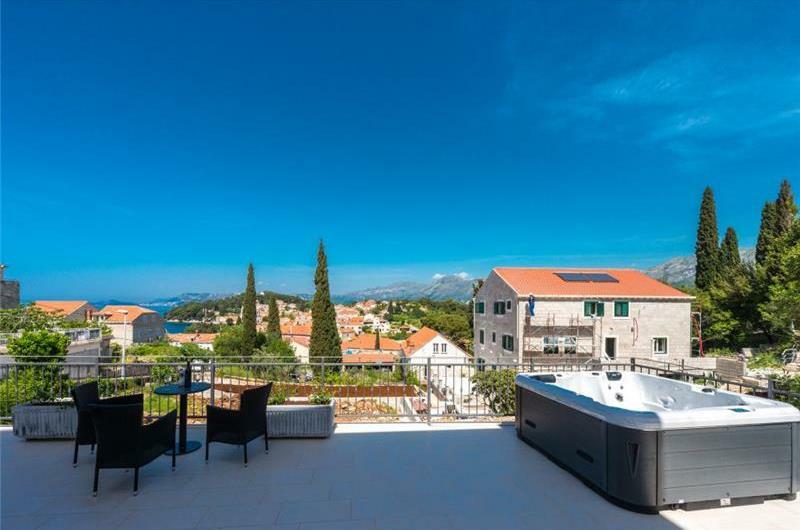 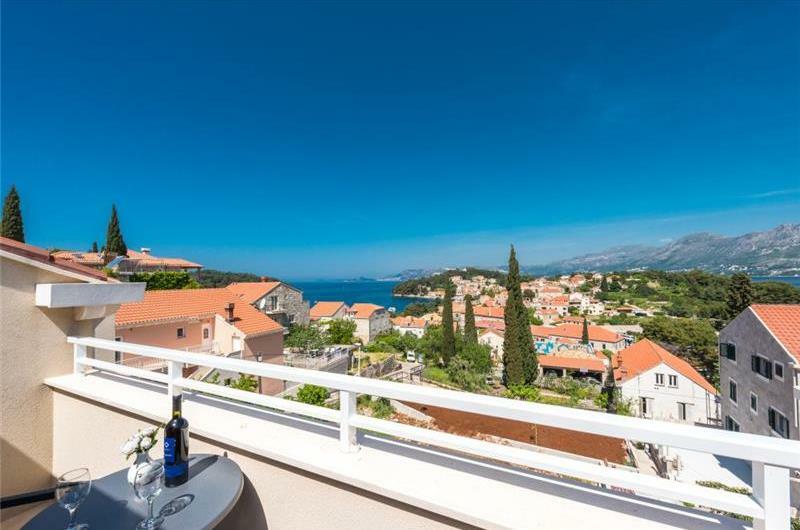 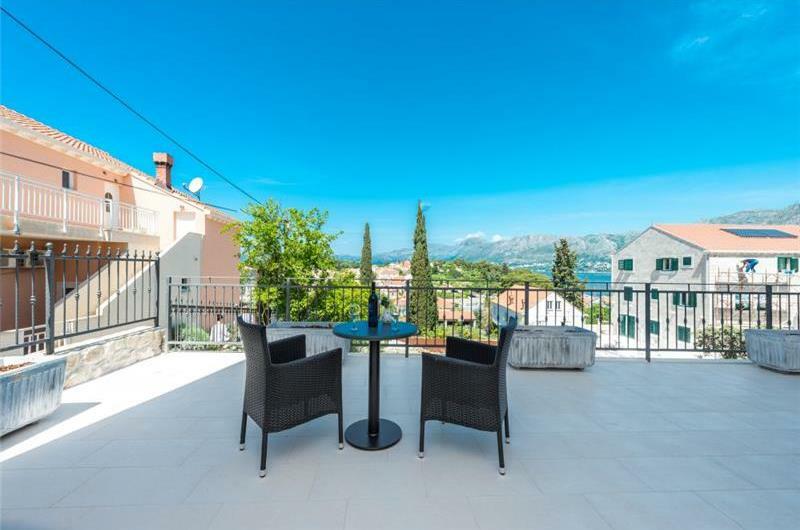 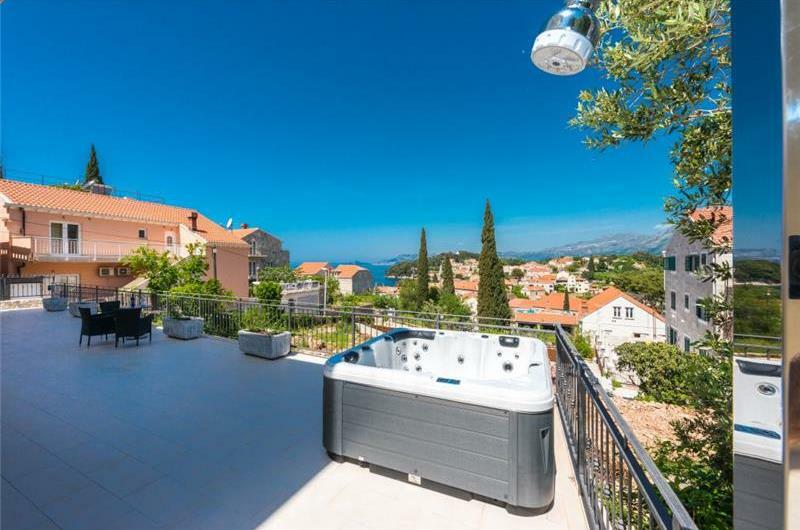 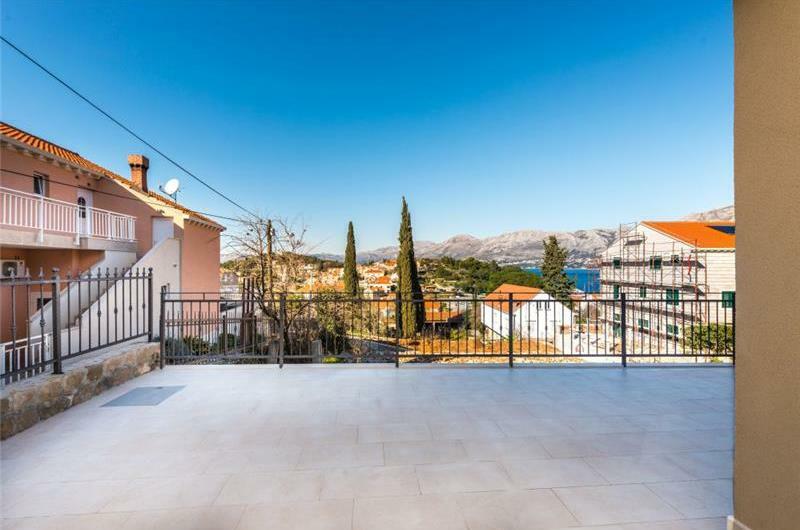 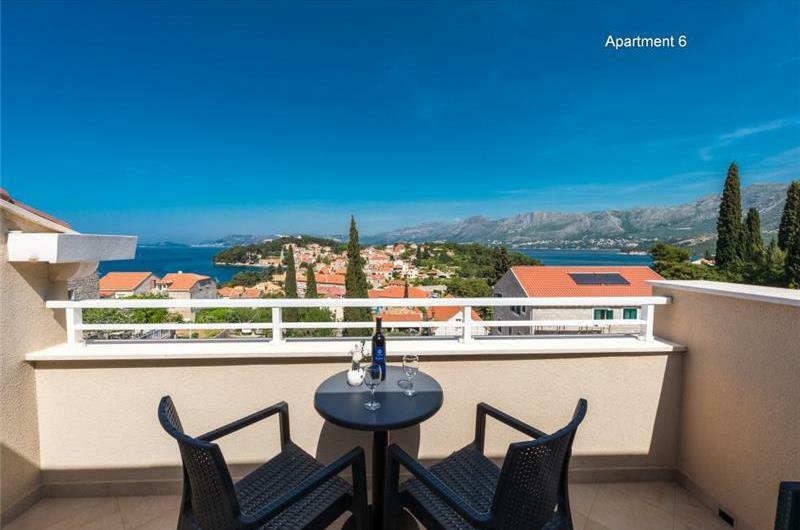 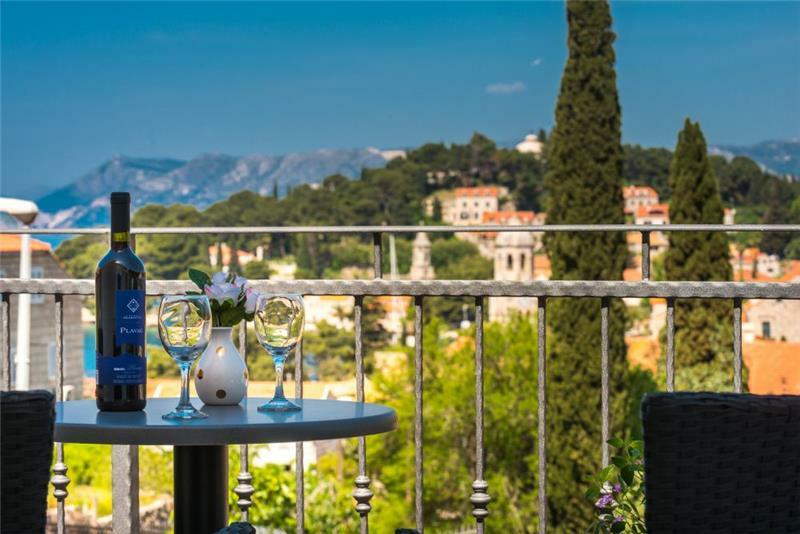 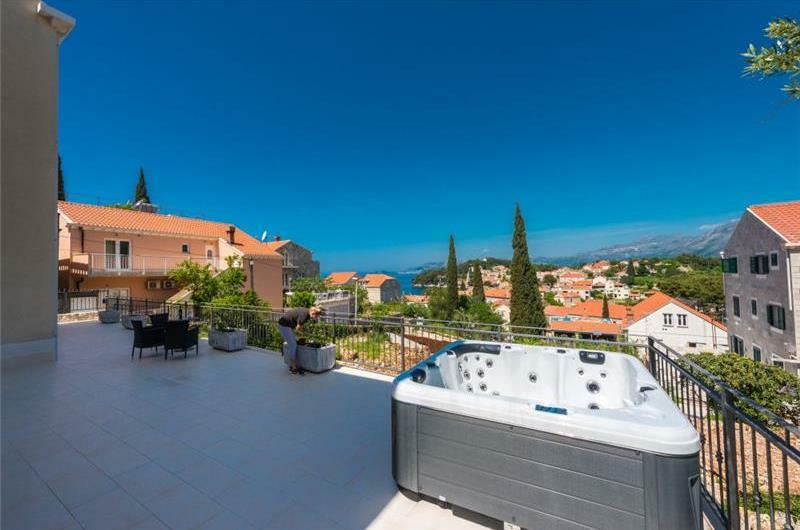 Located near the beach in Cavtat, the property has a shared terrace with a shared Jacuzzi and BBQ and wonderful sea views. 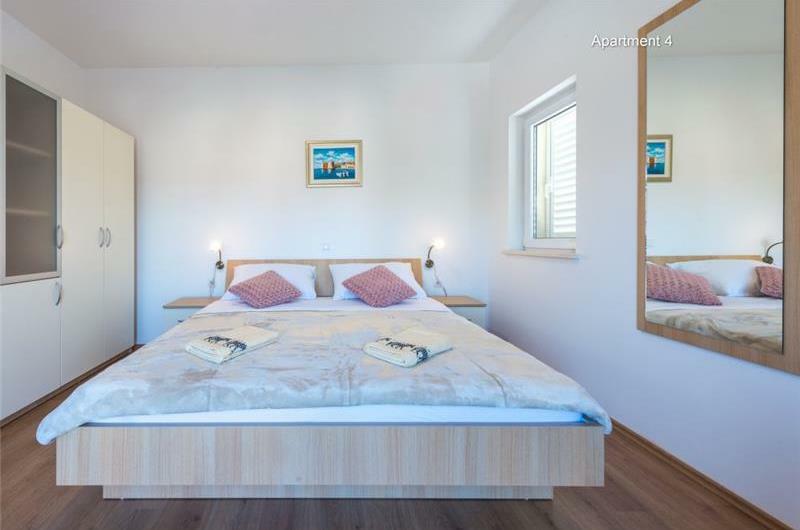 With apartments sleeping either 2-4 or 5-7, there is something for everyone; couples, families and friends. It is perfect for those looking for a relaxing coastal and city stay with the beach and local amenities all within walking distance. 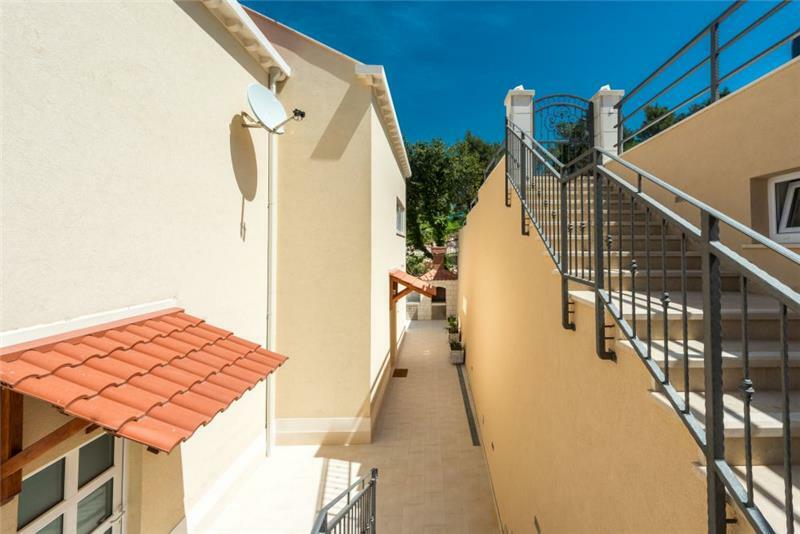 This ground floor apartment can sleep 2-4 guests and is accessed by the entrance to the left of the property. 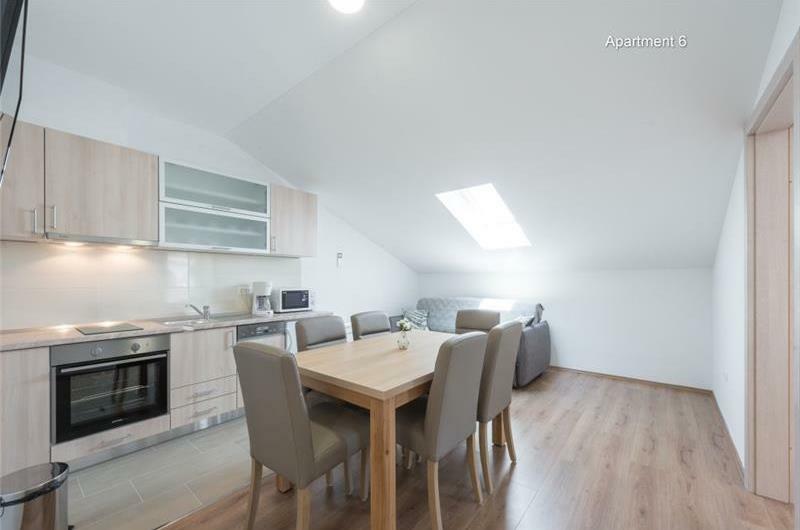 It has an open-plan kitchen / lounge that opens onto a dining room. 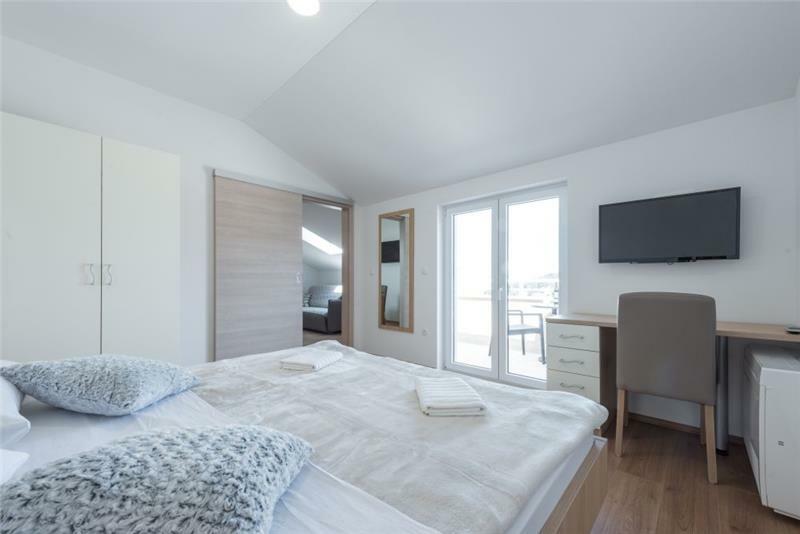 There is also a shower room and a double bedroom with doors leading to the shared terrace with sea views, a shared Jacuzzi and a BBQ. 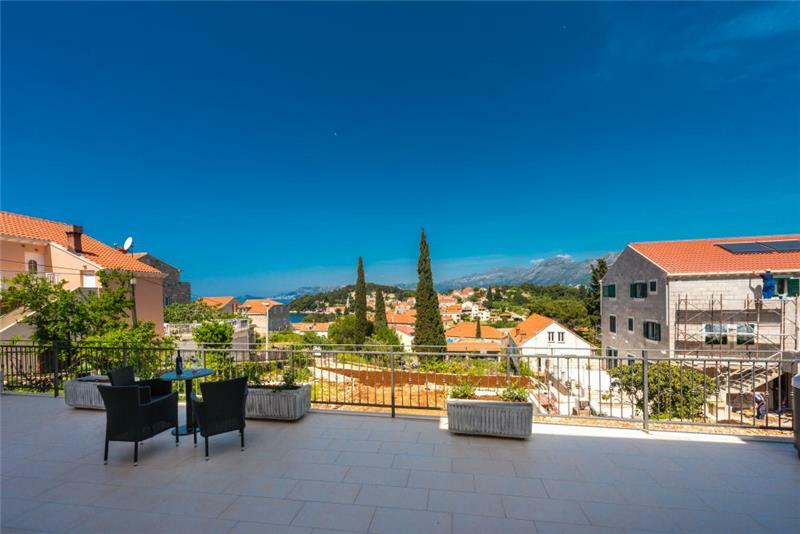 This apartment can sleep 2-4 guests and is situated on the first floor of the property. Guests enter the apartment via the left entrance. It consists of an open-plan lounge / kitchen that opens onto a dining room. There is also a shower room and a twin bedroom with a balcony with sea views. 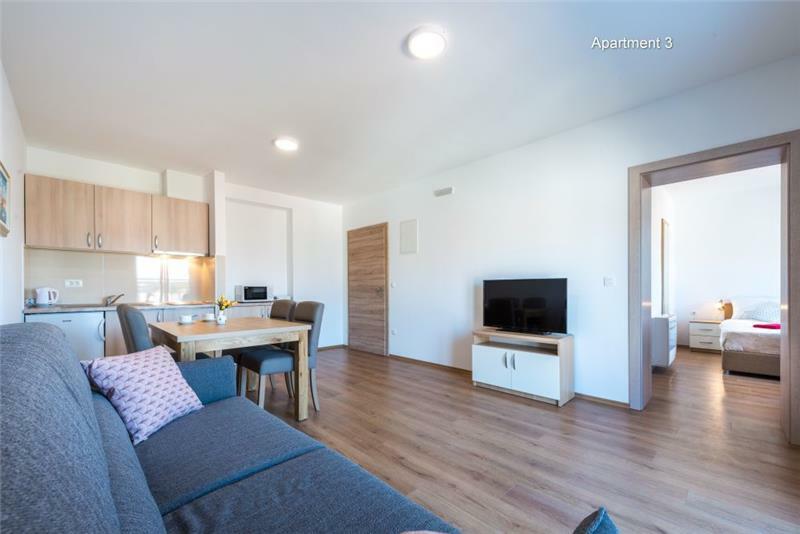 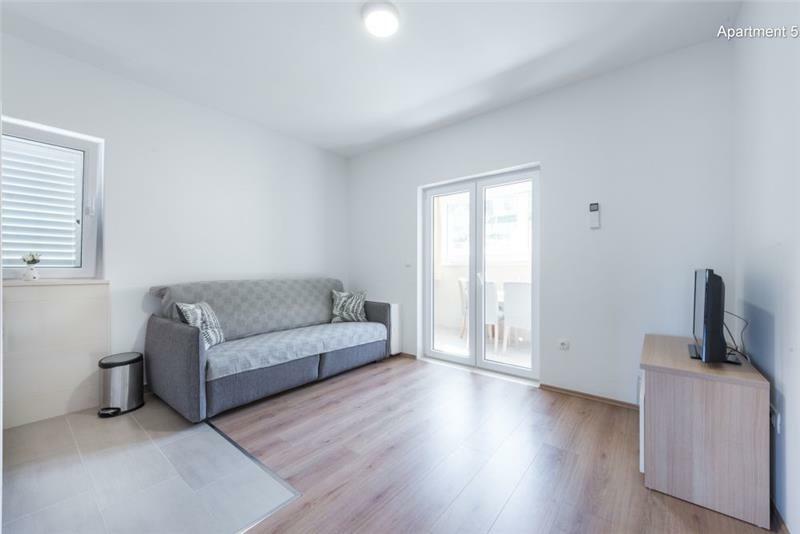 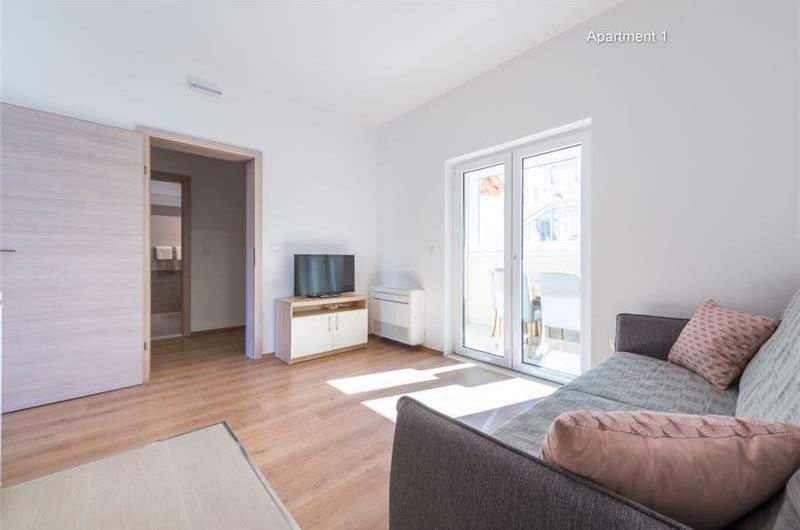 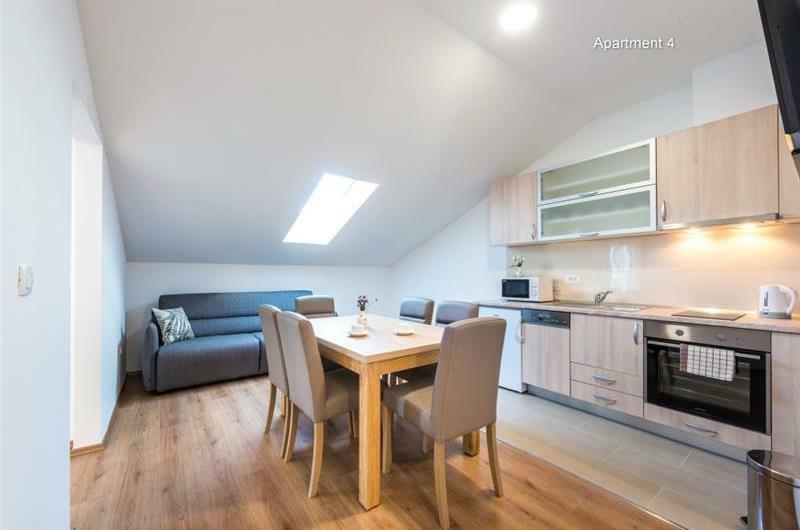 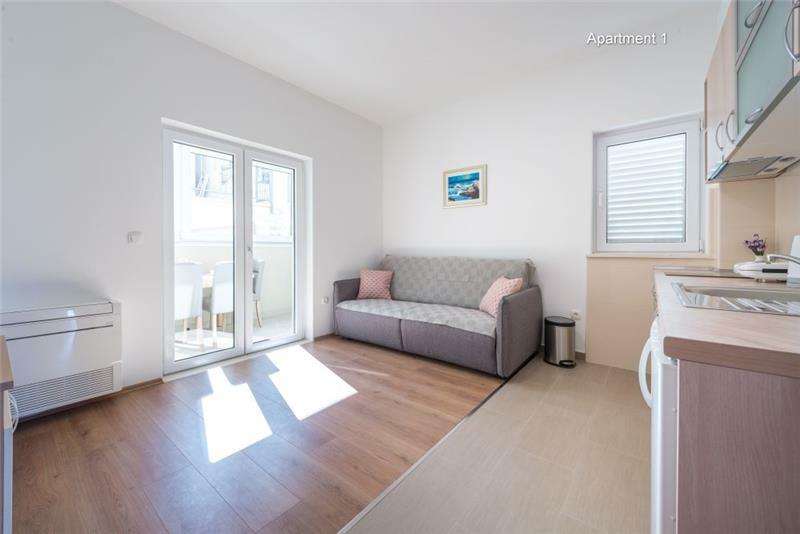 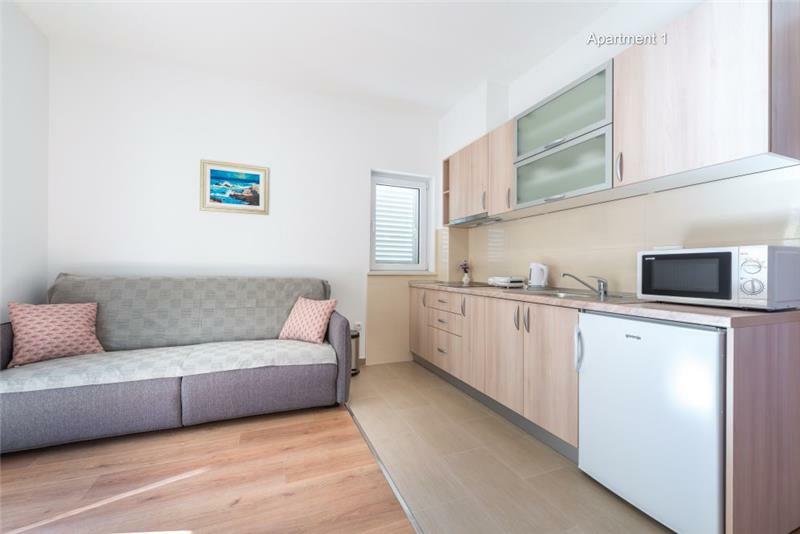 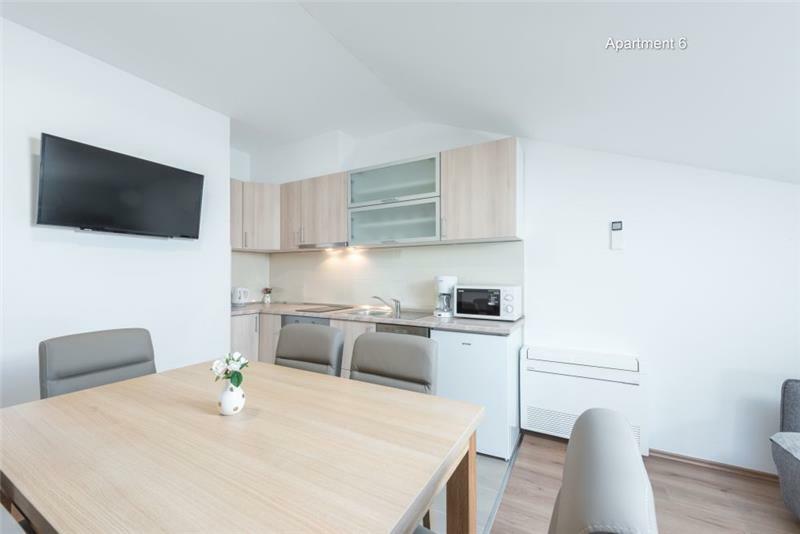 This apartment is situated on the first floor of the property and is accessed via the entrance on the left of the property. It sleeps 2-4 guests and consists of an open plan kitchen/lounge/diner, a twin bedroom with French doors that look out to the sea, and a shower room. 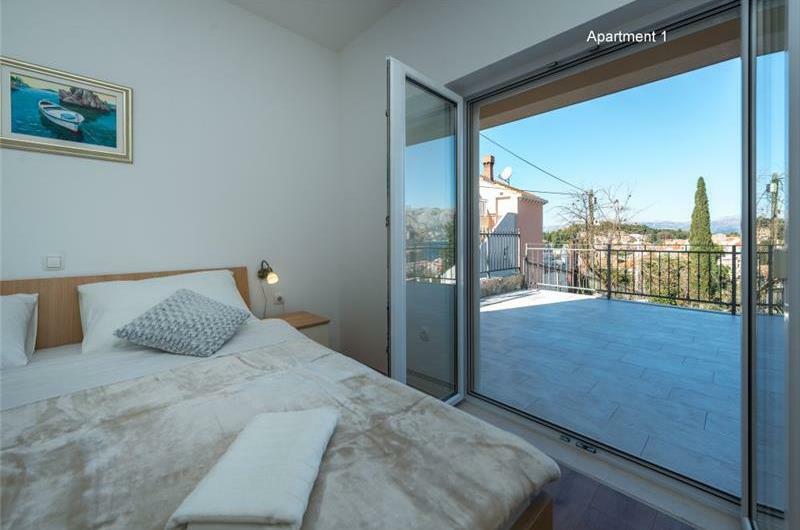 This second-floor apartment is accessed via the left entrance and sleeps 5-7 guests. 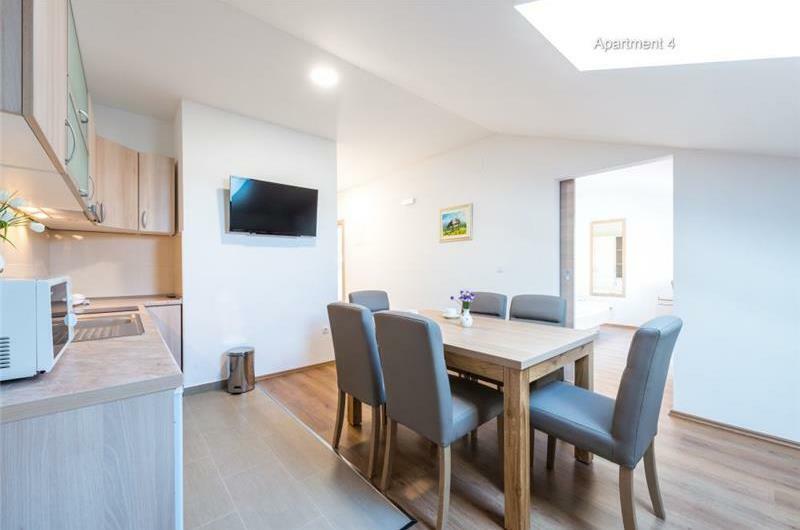 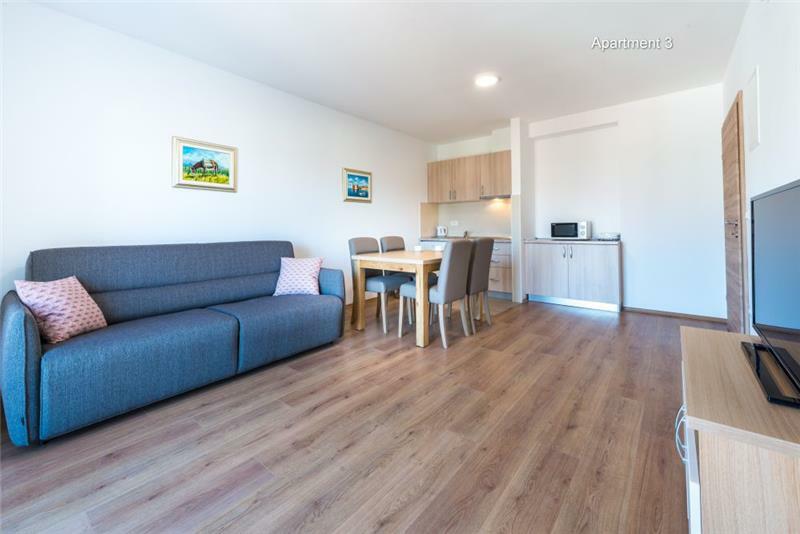 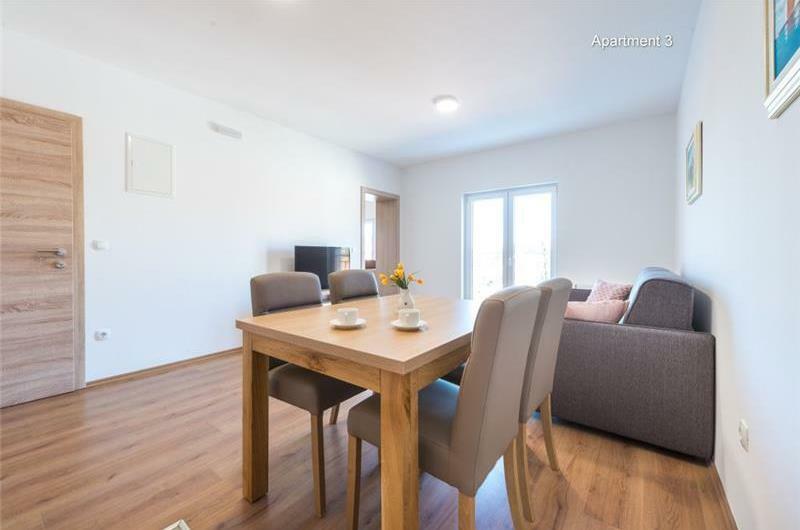 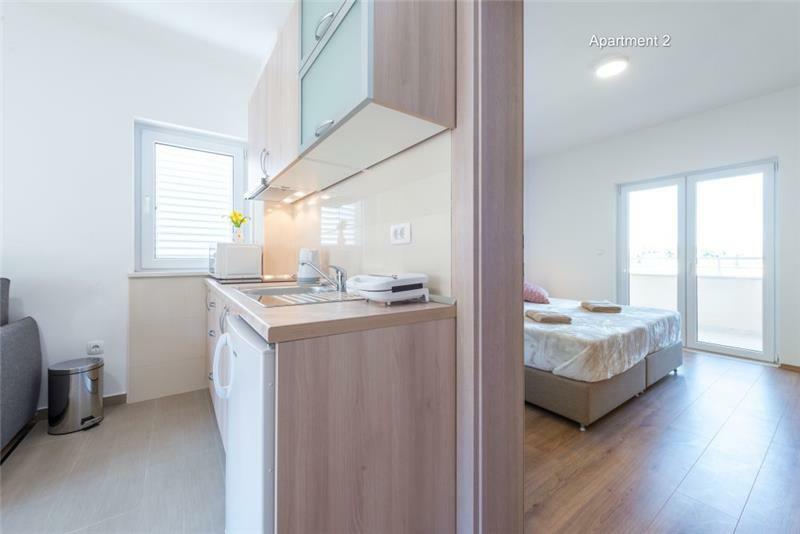 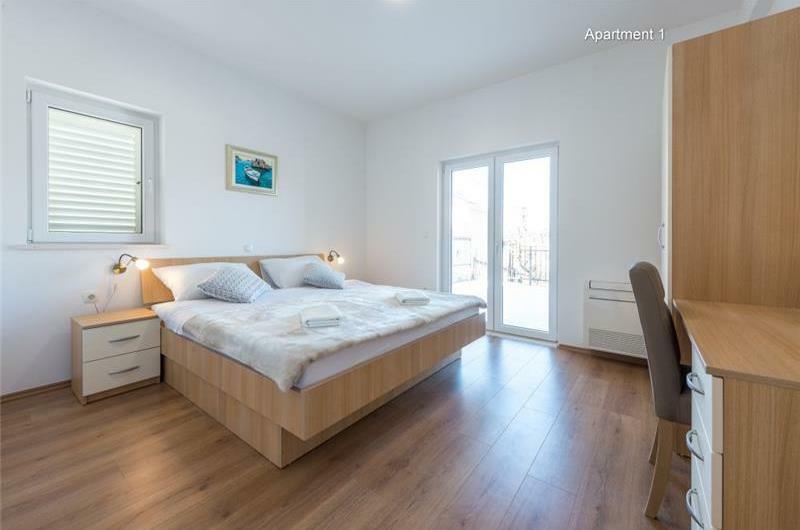 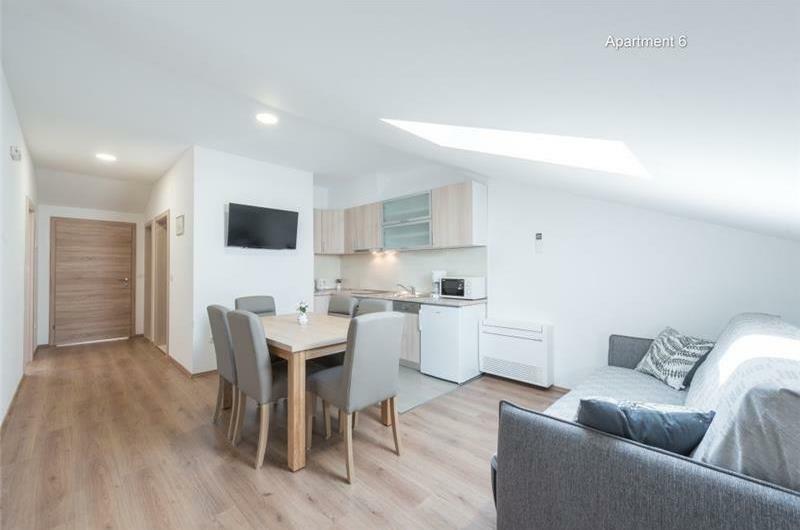 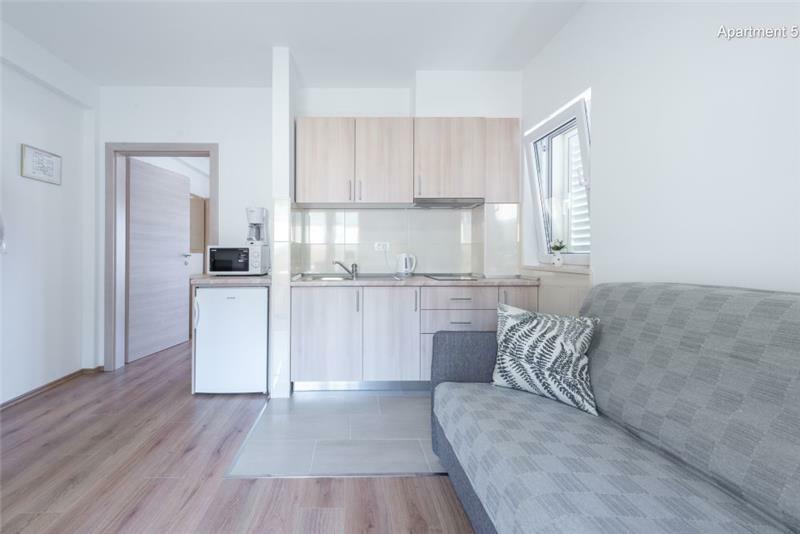 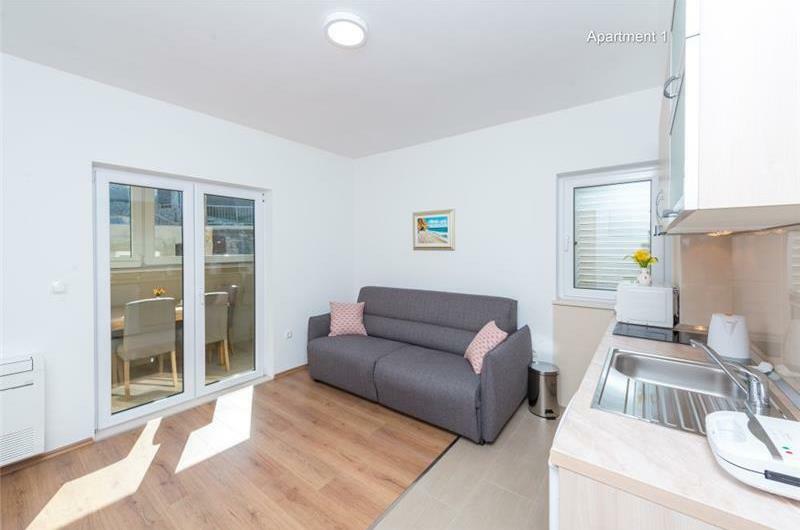 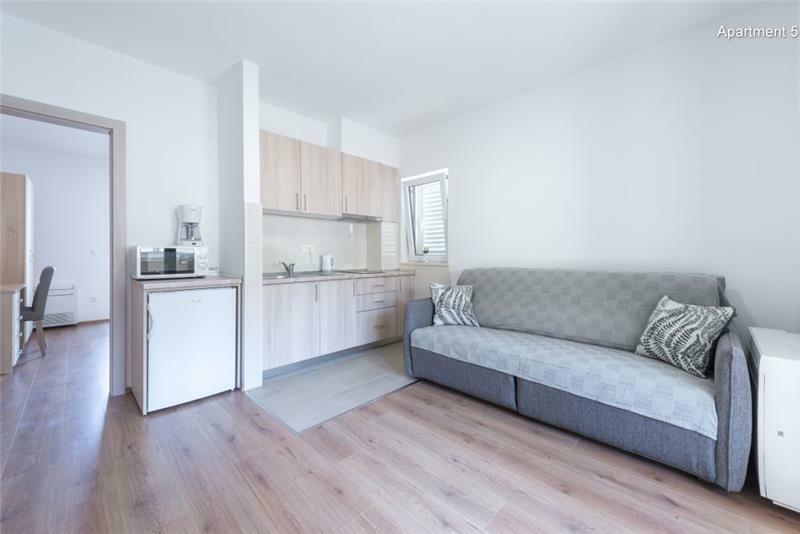 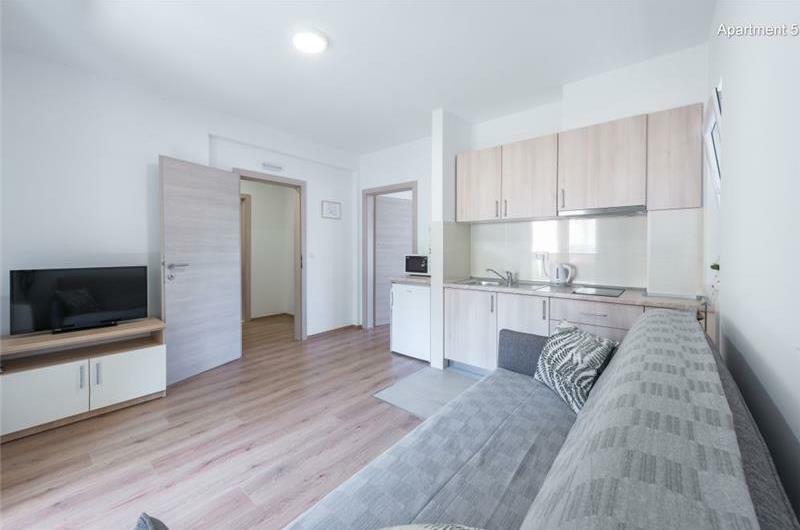 It has a double bedroom with a balcony, a triple bedroom containing a double and a single bed, a shower room and a separate WC, and an open plan kitchen / diner / lounge. 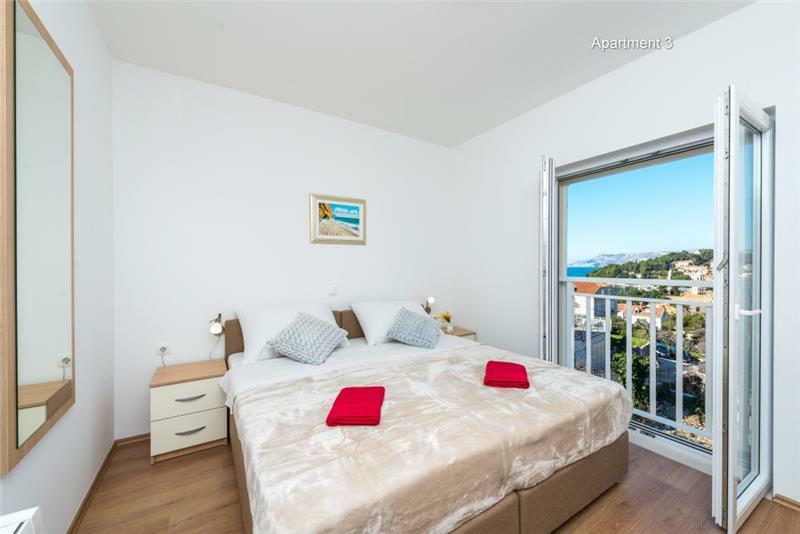 This apartment is accessed via the entrance on the right of the property and is situated on the first floor. 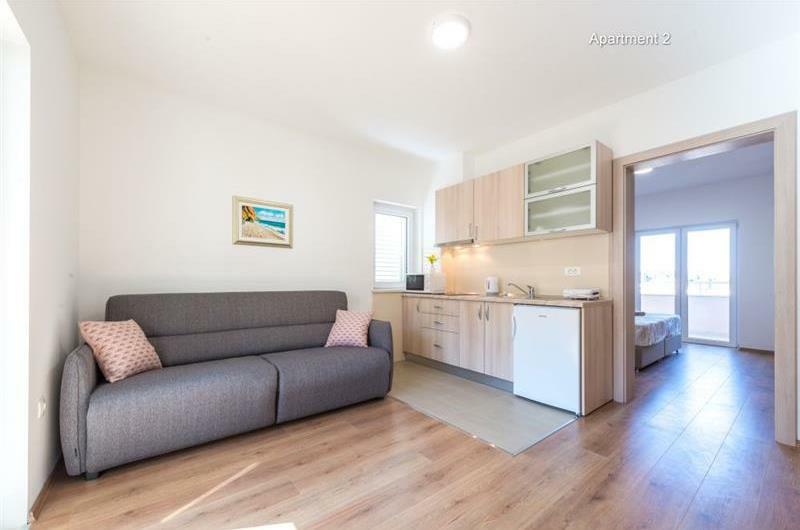 It sleeps 2-4 people and has an open plan kitchen / lounge and a dining room. 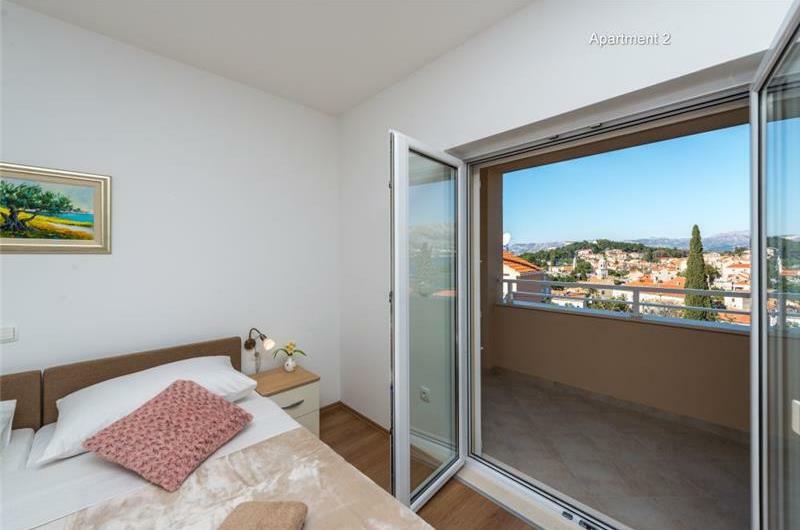 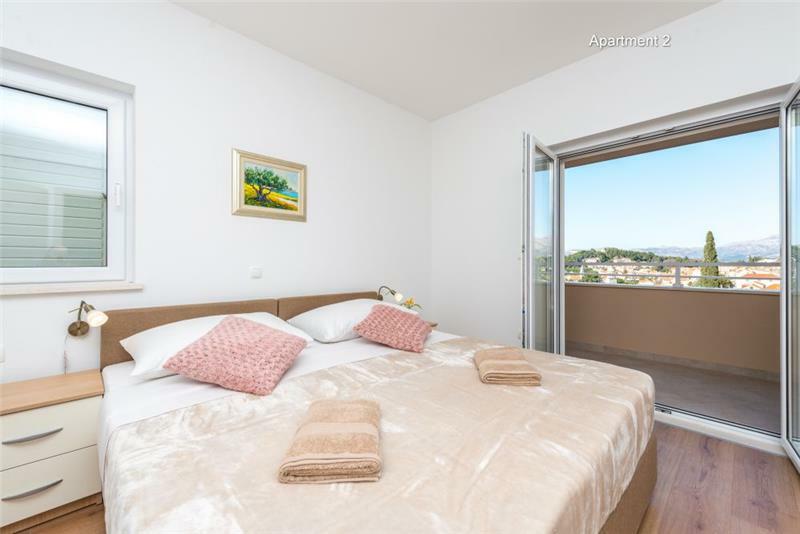 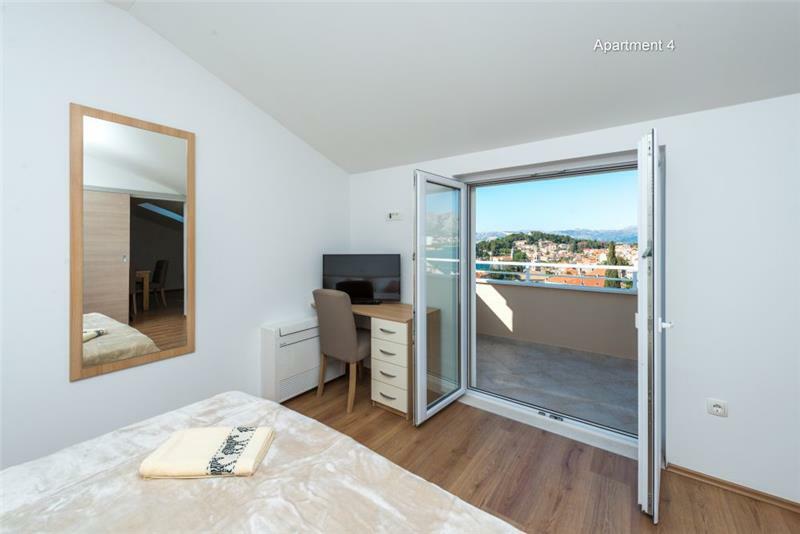 There is also a twin bedroom that opens onto a balcony with space for alfresco dining, plus a shower room. 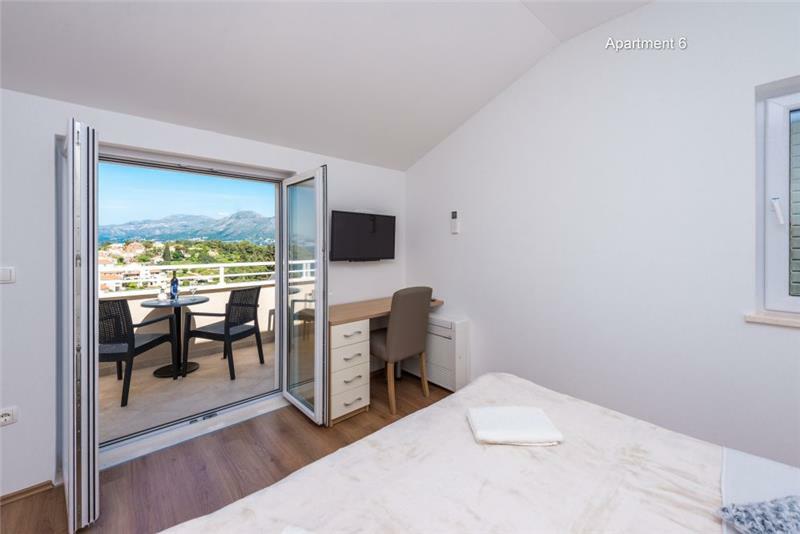 This apartment is situated on the second floor of the property and is accessed via the entrance on the right. 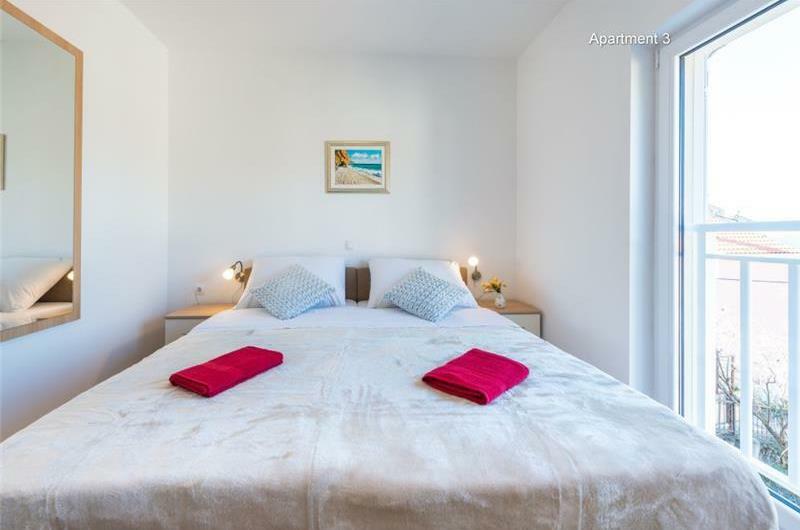 It sleeps 5-7 guests and has a double bedroom with a balcony with sea views. 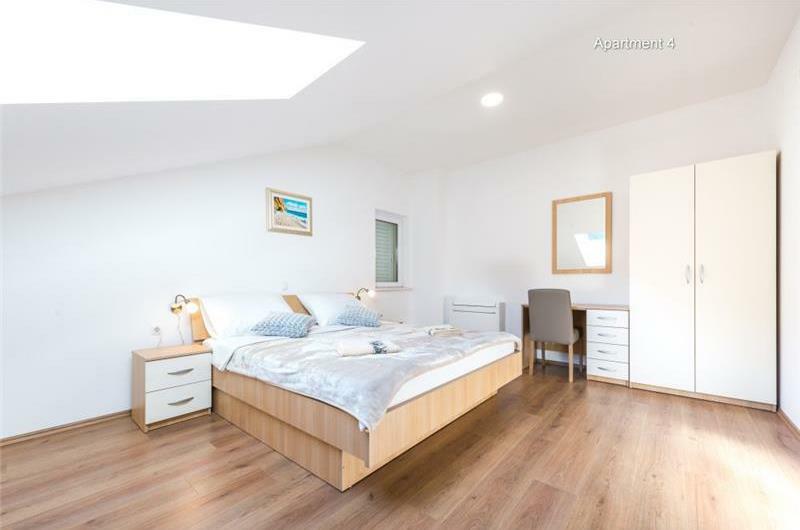 There is also a triple bedroom containing a double bed and a single bed, a shower room, a separate WC and an open plan kitchen / lounge with space for dining. 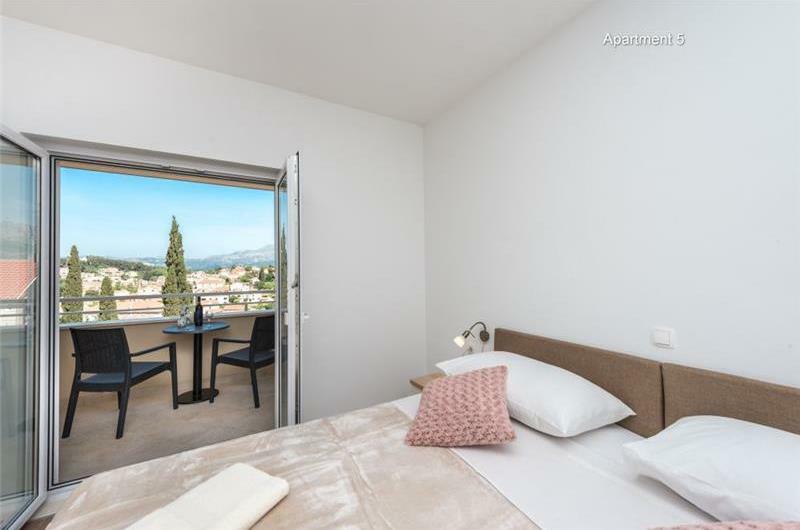 Each apartment has access to the shared terrace in front of the property with a shared Jacuzzi, BBQ and space for relaxation. 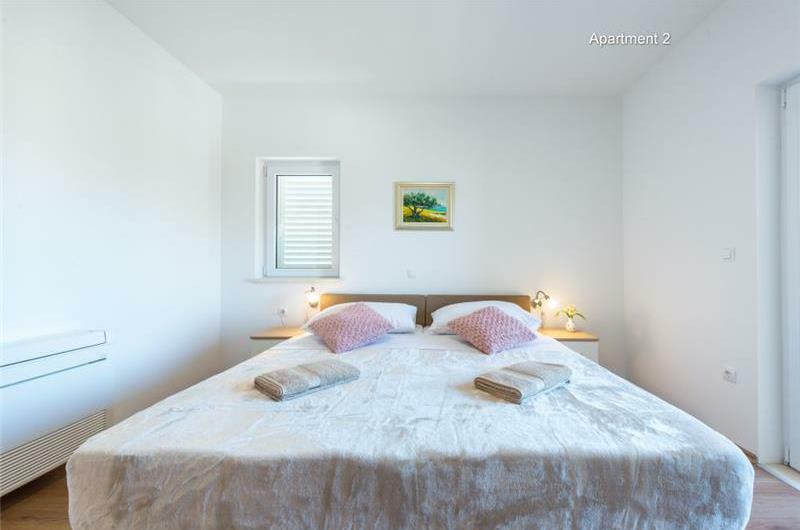 The property is located near the sea, just a 5-minute walk to the lovely beach where guests can relax. 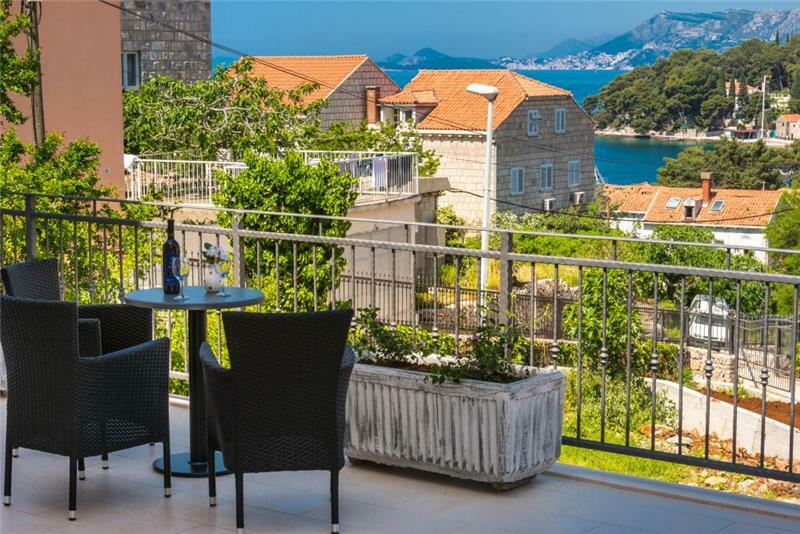 Nearby there are also various shops, cafes and restaurants where guests can enjoy the local cuisine. Cavtat has many wonderful cobble streets to explore and alcove beaches to discover. 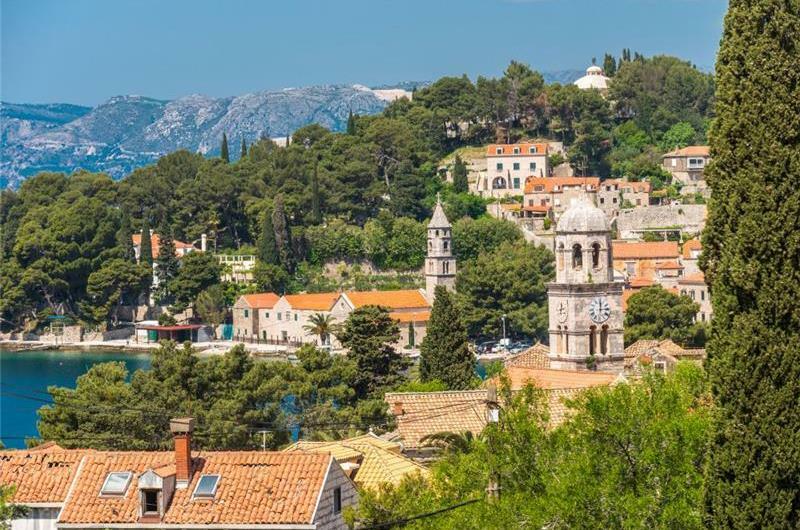 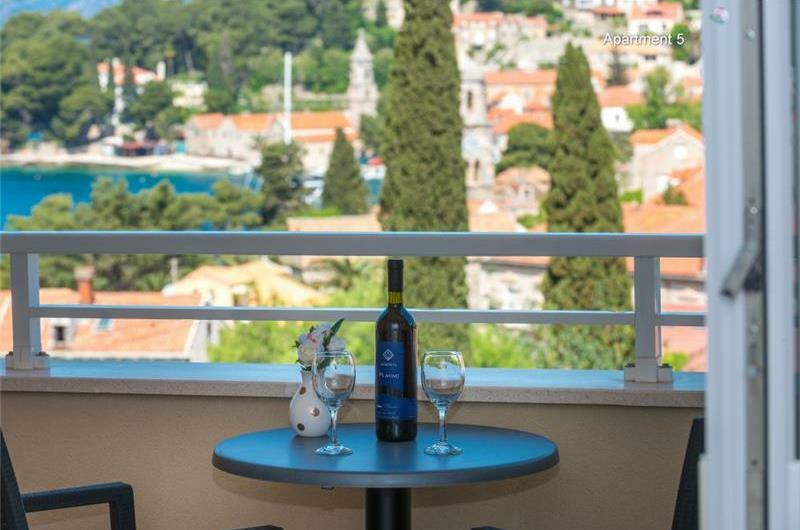 Why not take a trip to Dubrovnik Old Town, where guests can stroll along its bustling winding walkways, enjoy a drink at one of the cliff-side bars or take the cable car to the fantastic view point on top of the hill. 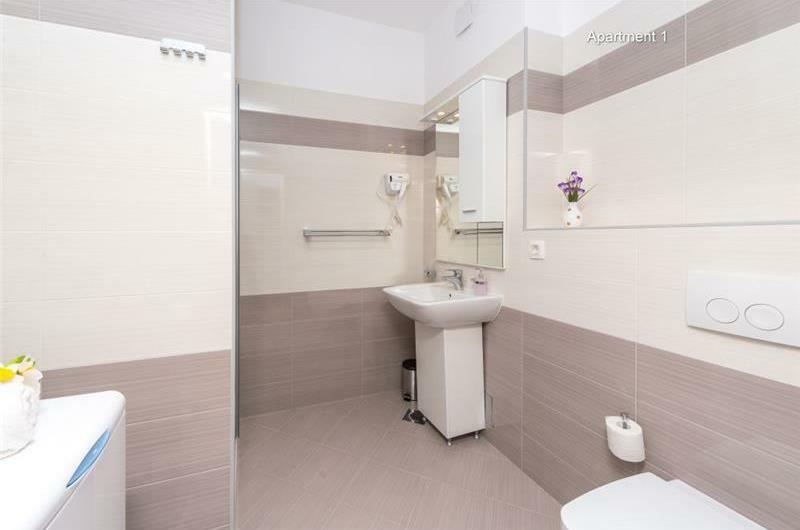 The reception can supply up to 4 irons and ironing boards. 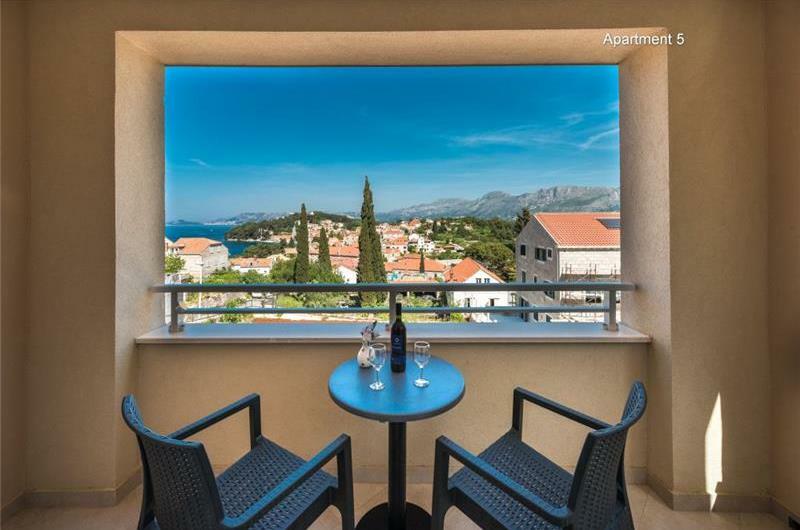 Balcony: Apartments 2,4,5,6 have balconies. 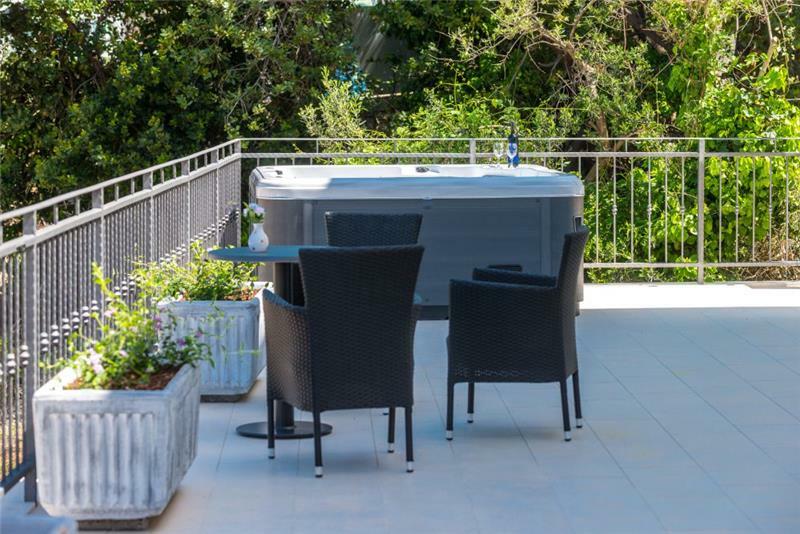 Furniture in terrace/balcony/garden: Table, chairs, shared Jacuzzi and sun beds. 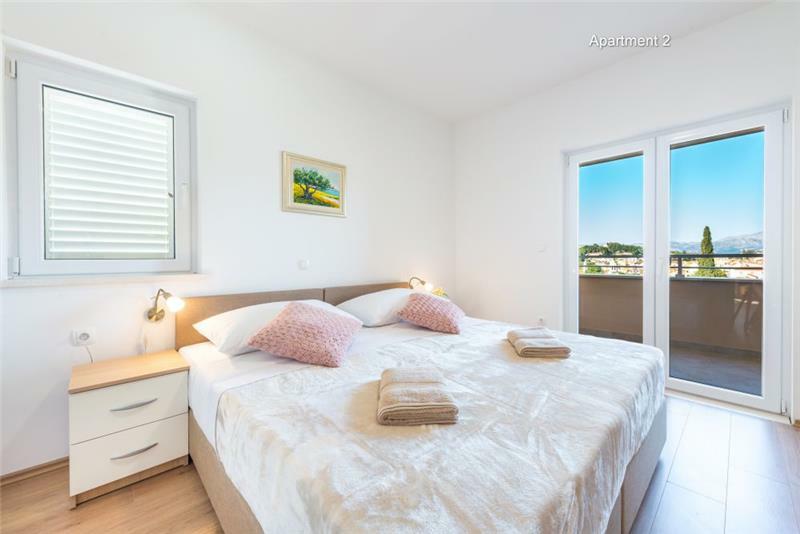 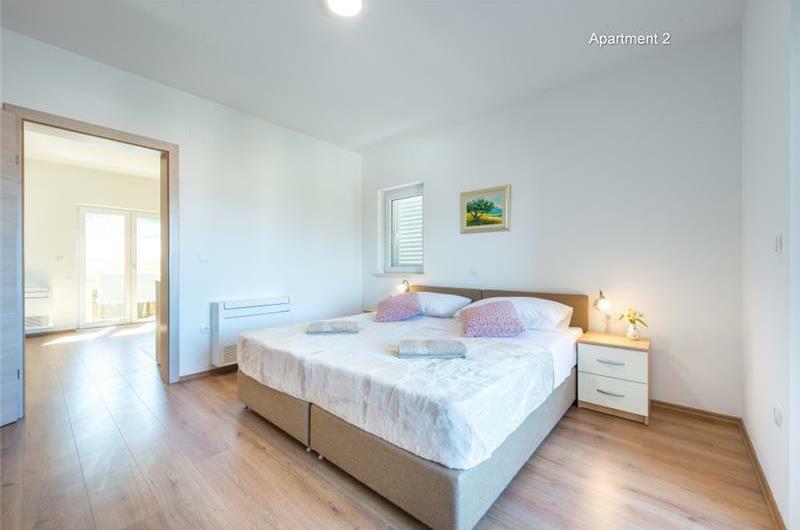 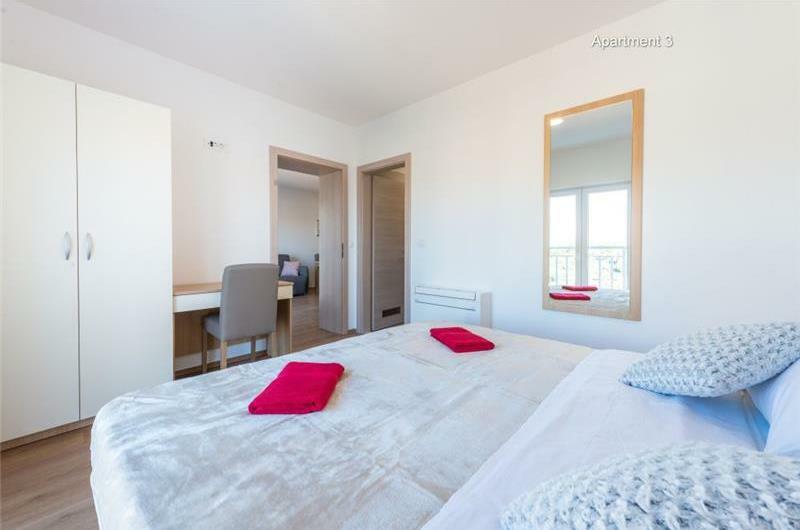 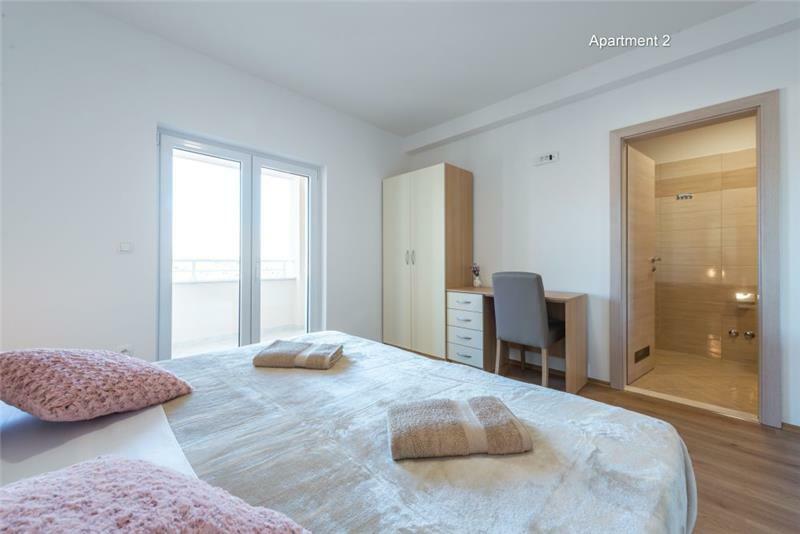 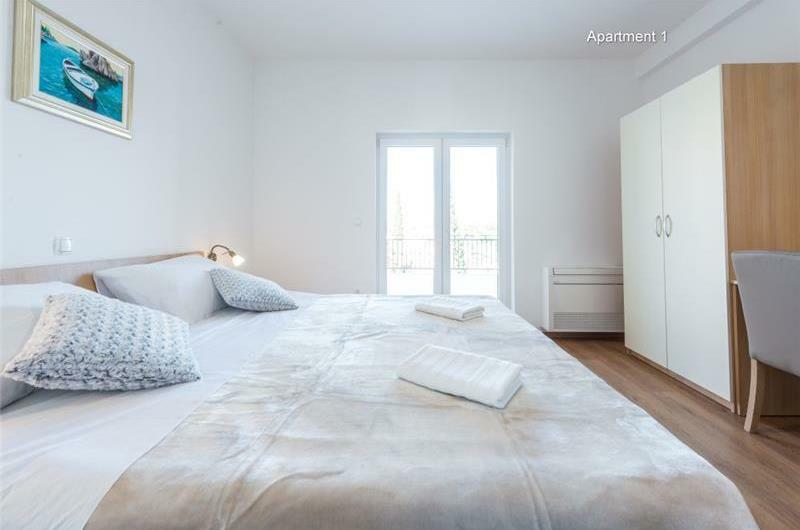 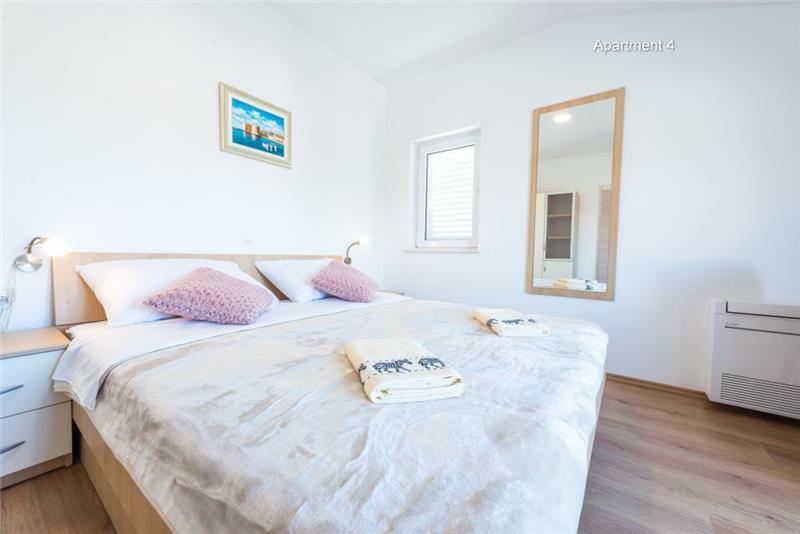 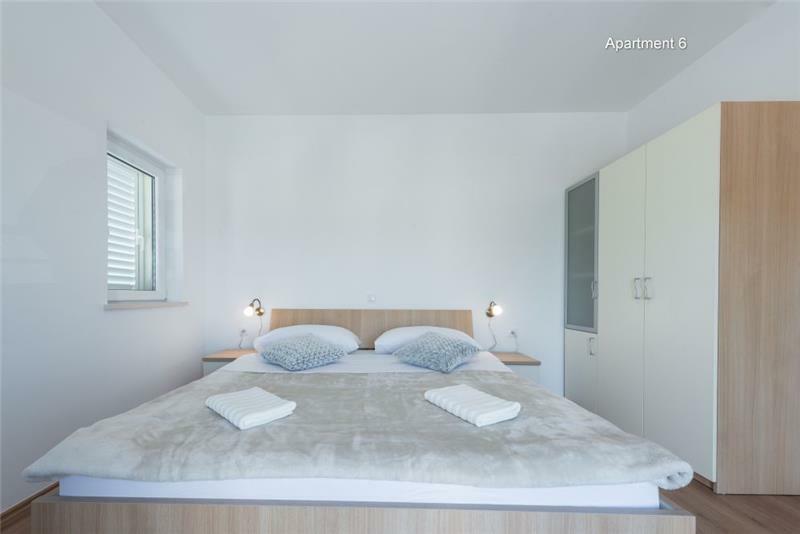 Information on bedrooms: Those apartments with twin bedrooms have been made into double beds with the beds pushed together. 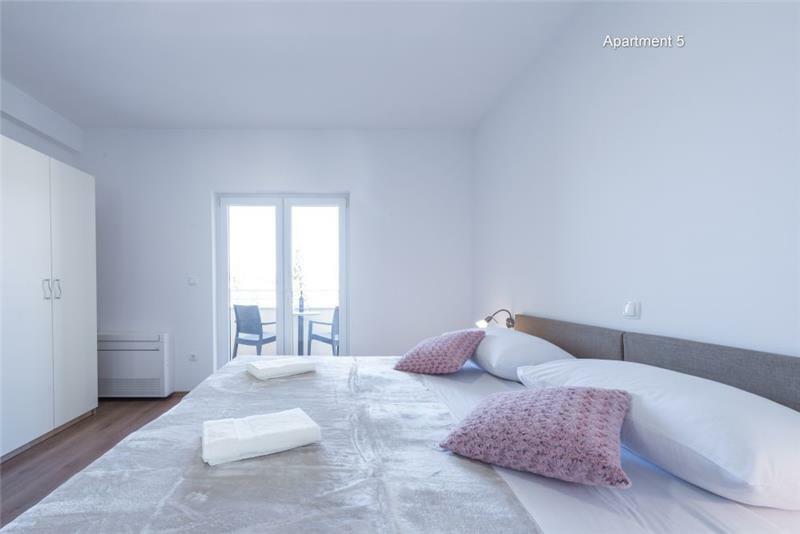 Each apartment has a double sofa bed in the living room to accommodate an additional 2 persons. 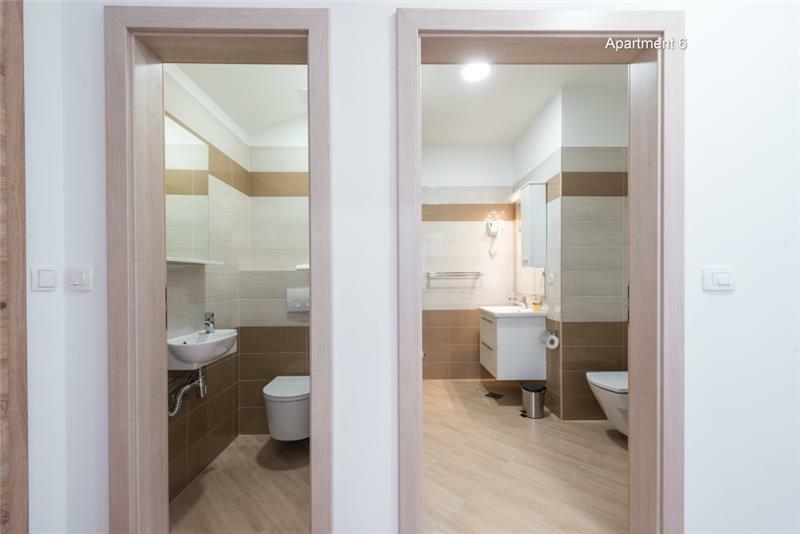 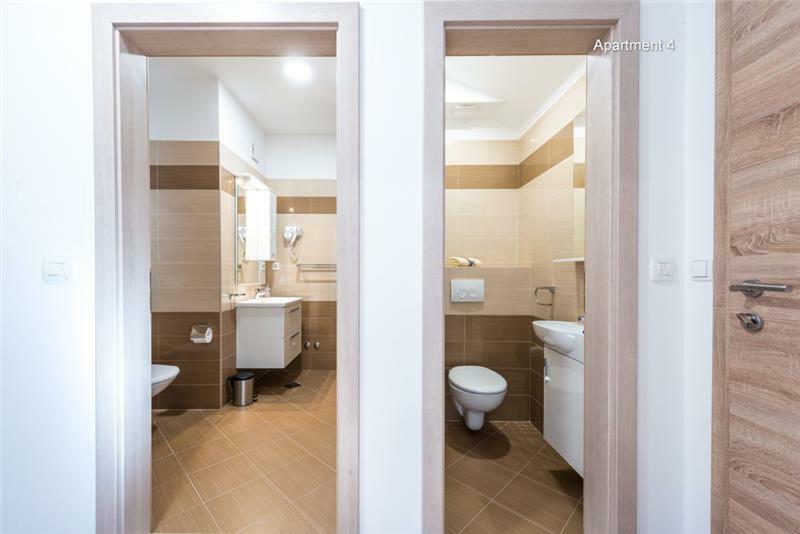 Additional information on bathrooms: Apartments 4 and 6 each have a shower room and a separate WC. 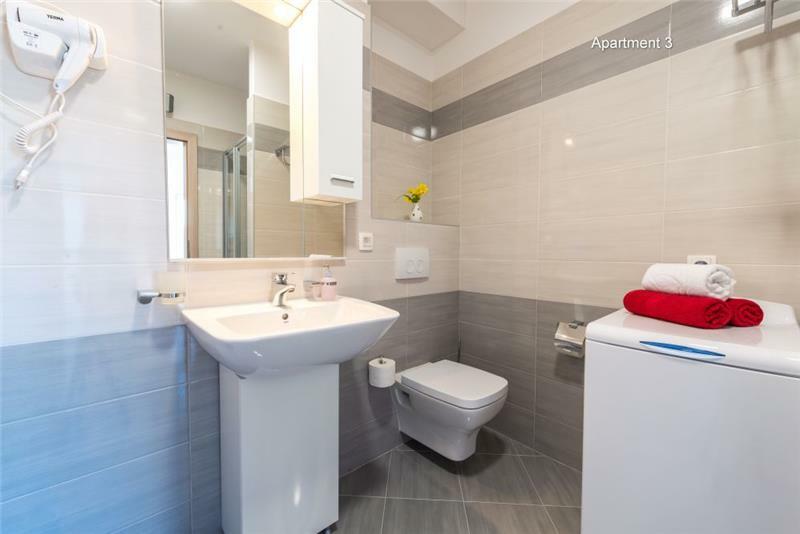 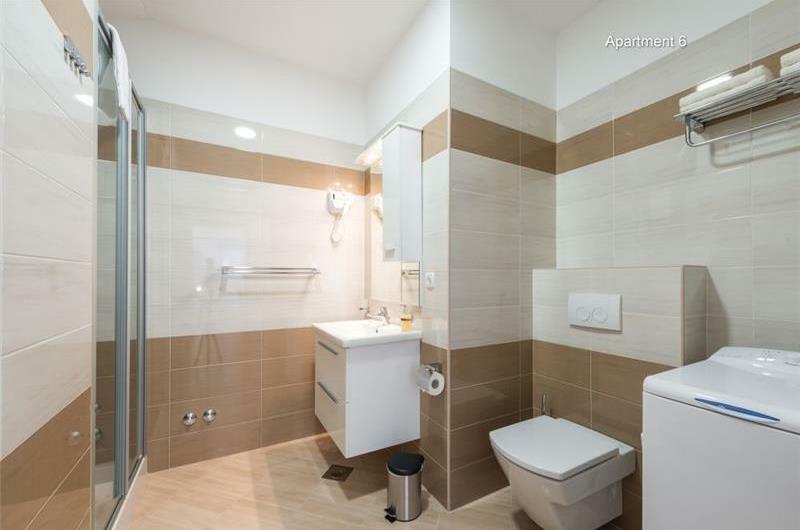 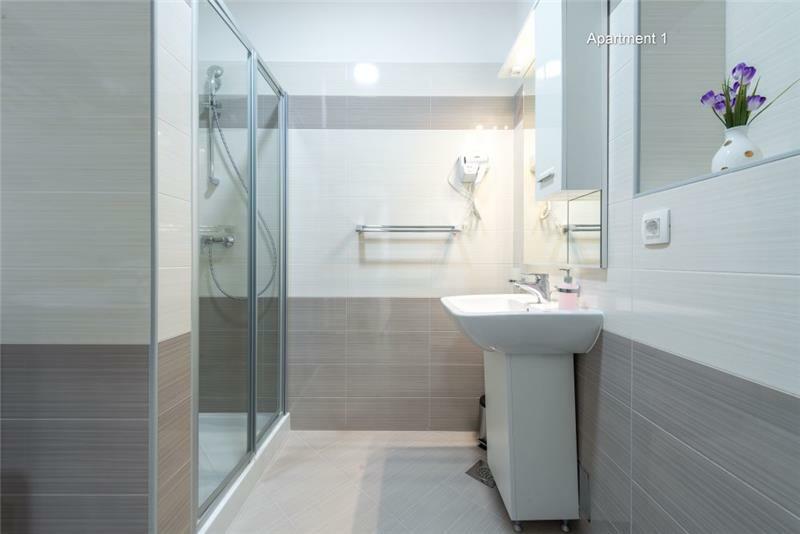 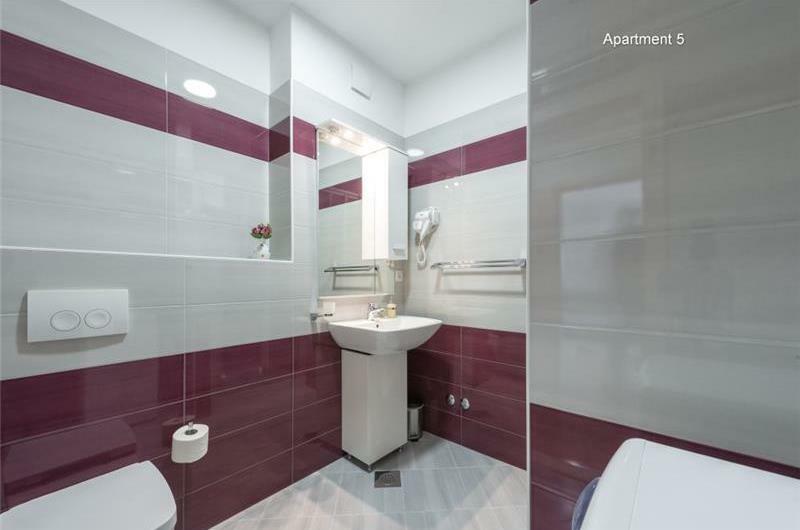 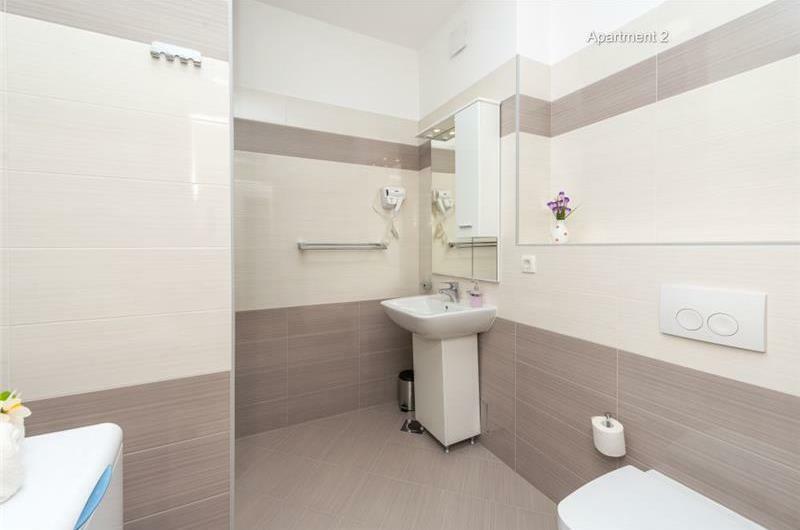 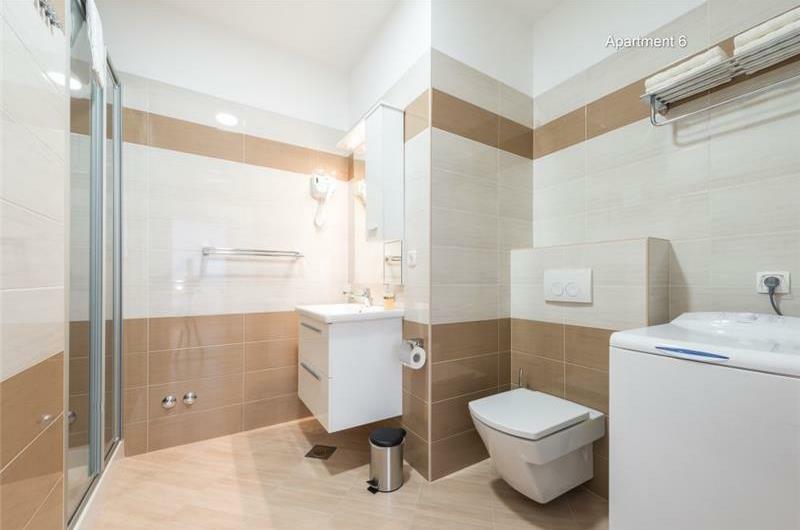 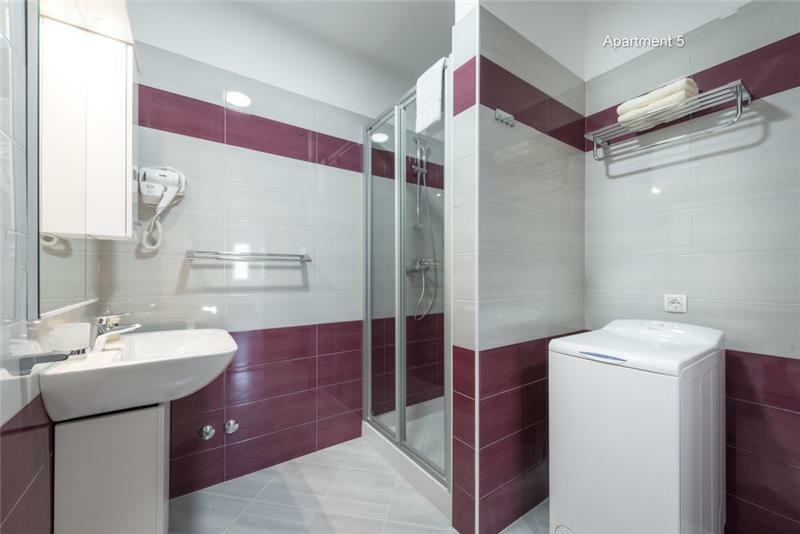 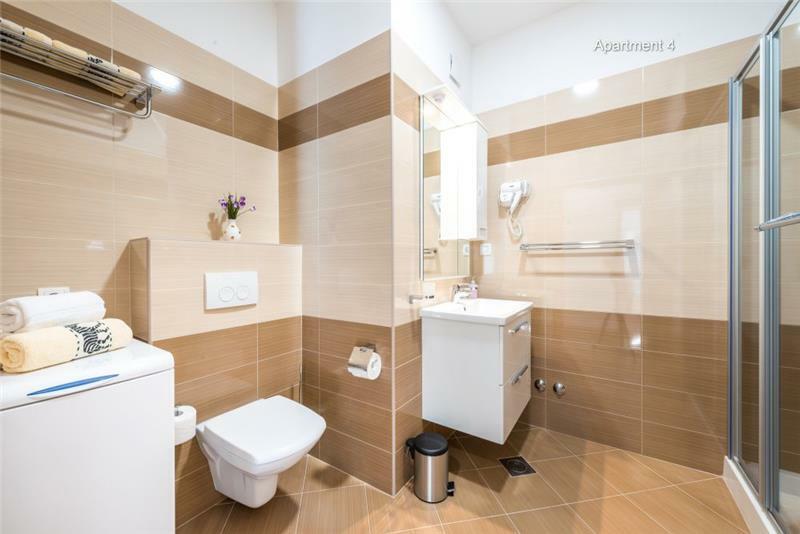 All other apartments have a shower room. 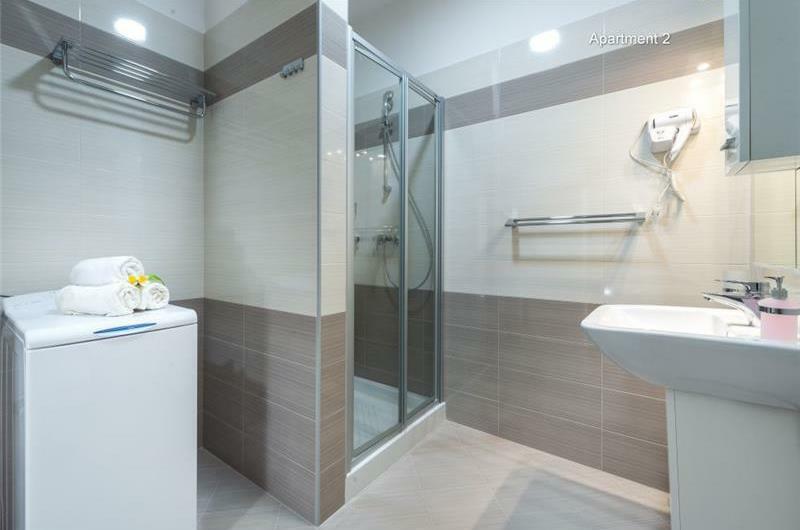 The shower rooms in apartments 2 and 3 are en-suites. x There is more than one accommodation type available at this property, please select your preferred accommodation to update the calendar. 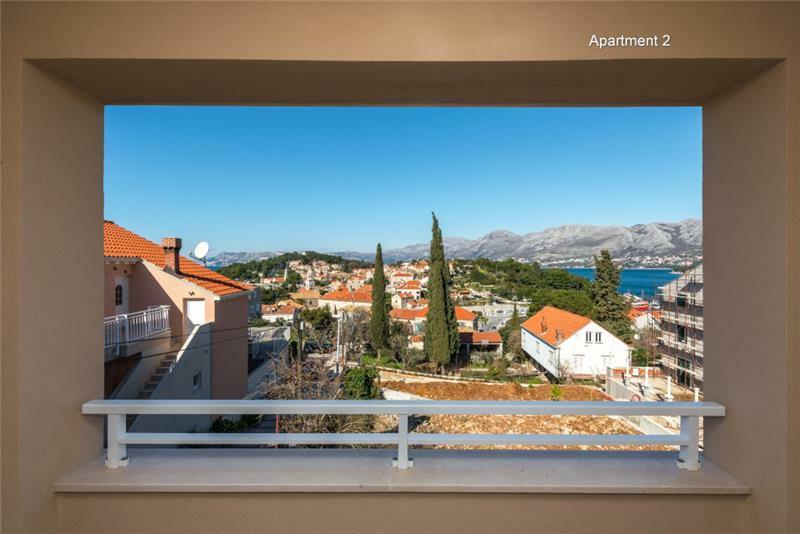 07 July - 18 Aug.
18 Aug. - 08 Sept.
01 Oct. - 02 Nov.